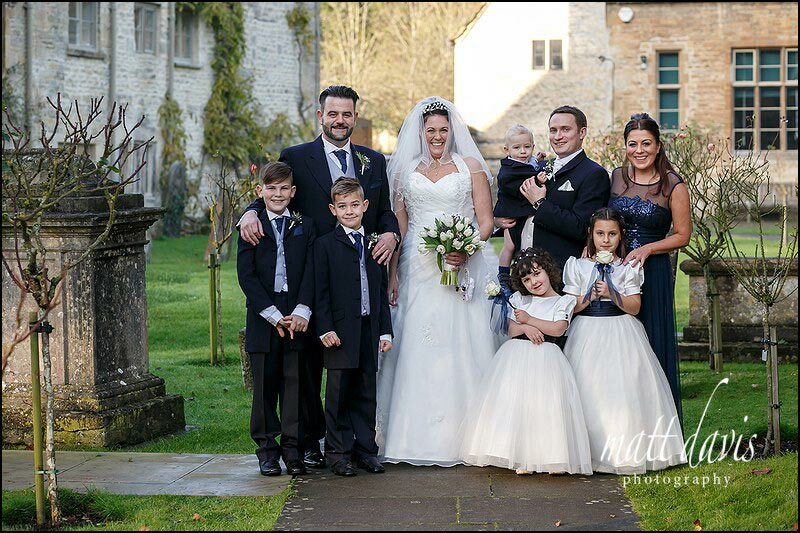 Hanging onto the last clutches of autumn David & Tracy chose to get married at Cripps Barn in Gloucestershire on the last weekend of November. 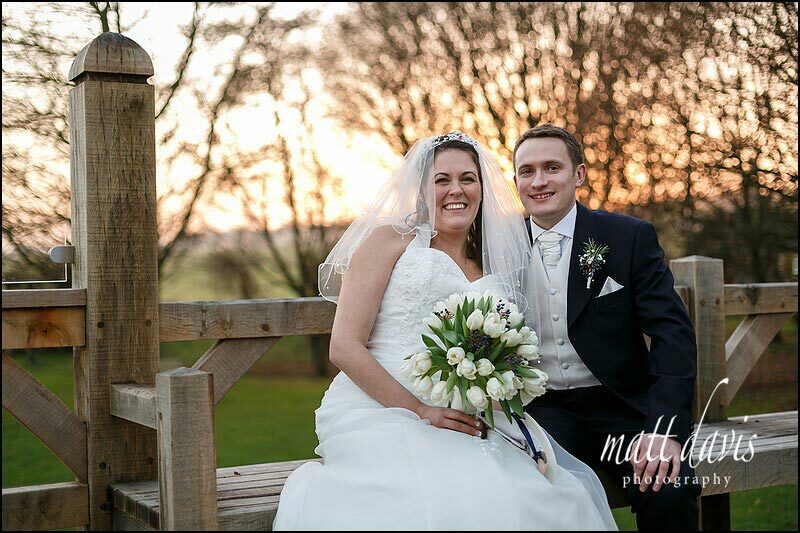 To have blue sky and golden light is something of a blessing therefore, and one enjoyed by all who attended the wedding. 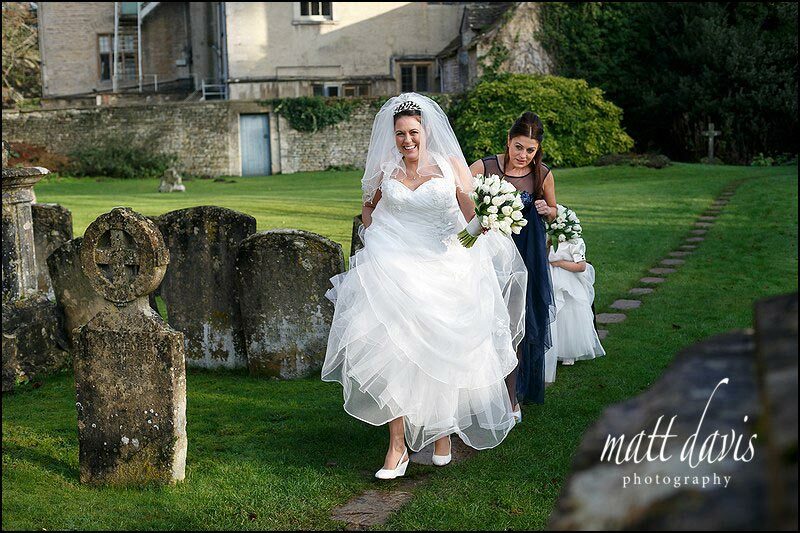 It may have been a little damp under foot, but this didn’t deter Tracy, who was happy to go ‘off piste’ even if she did end up with muddy shoes and a dirty wedding dress! 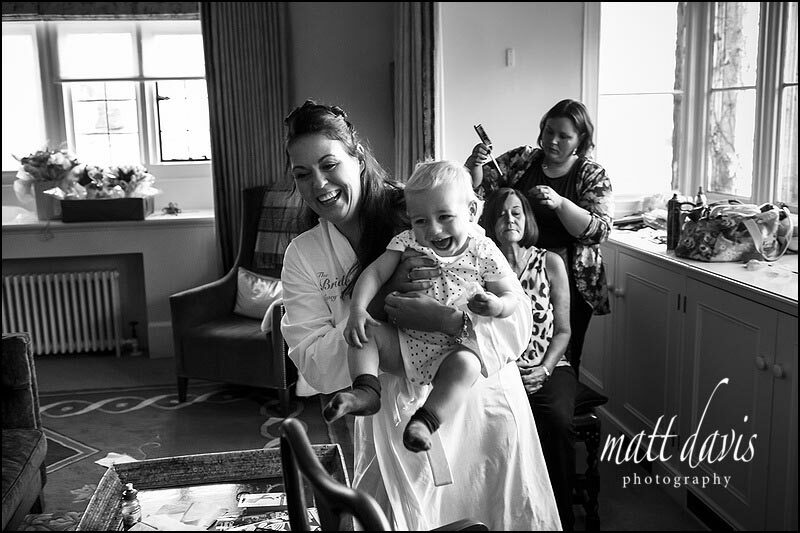 Was this relaxed nature just her personality or does having a one year old baby to deal with help you keep things in perspective? 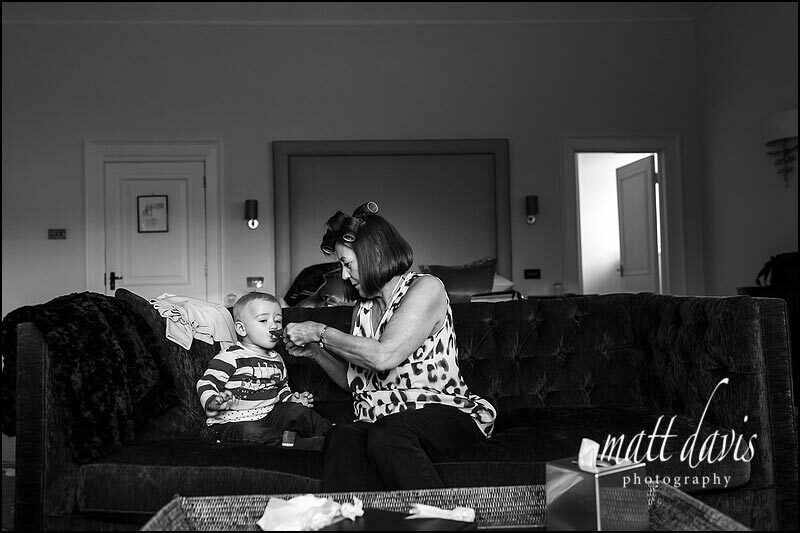 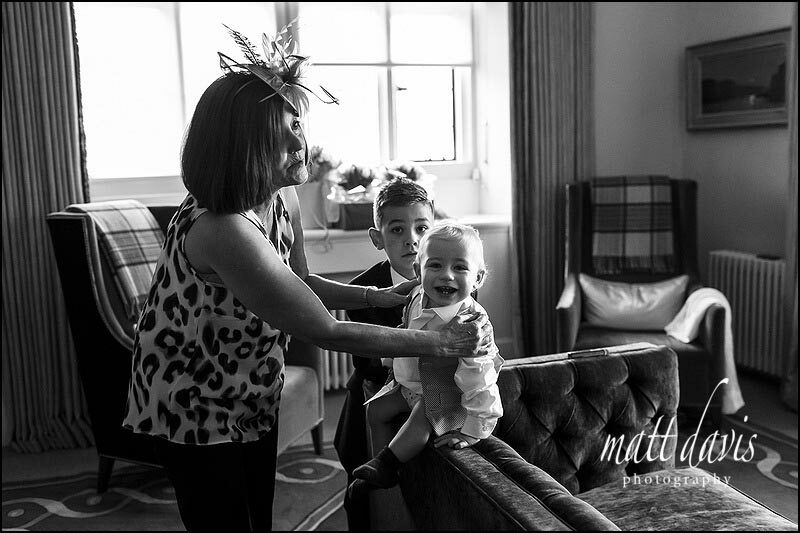 I don’t know, but it certainly meant an eventful morning during bridal preps, and Sebastian presented a few challenges for Tracy’s mum! 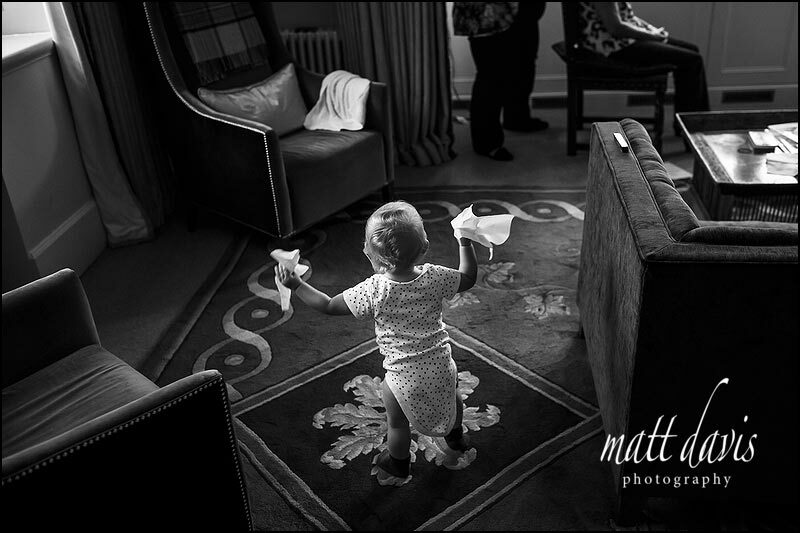 Wipes anyone? 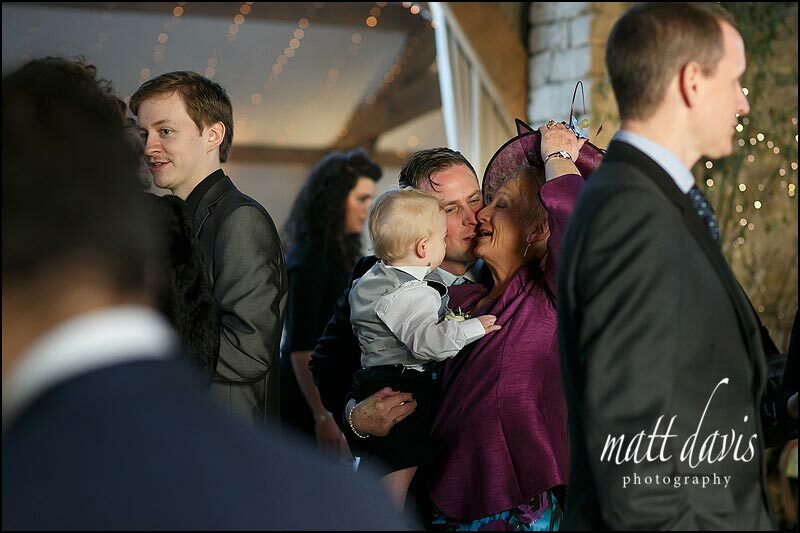 Can someone feed Sebastian? 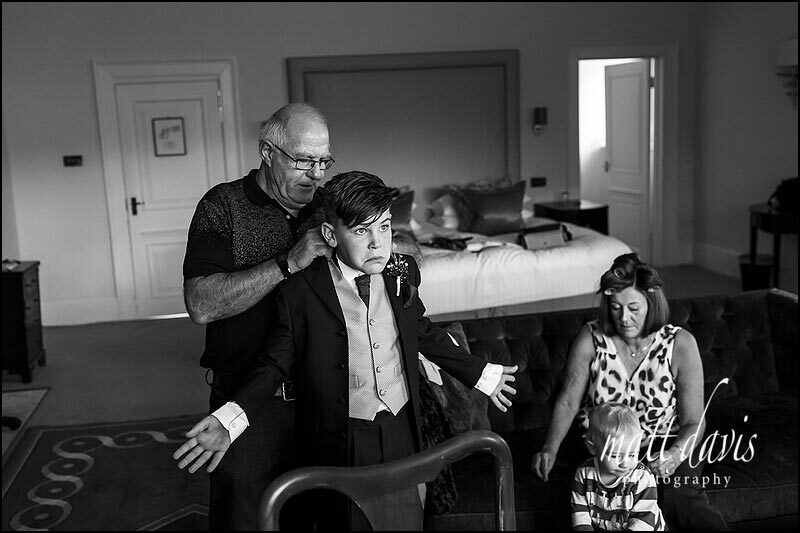 Could someone get him changed please? 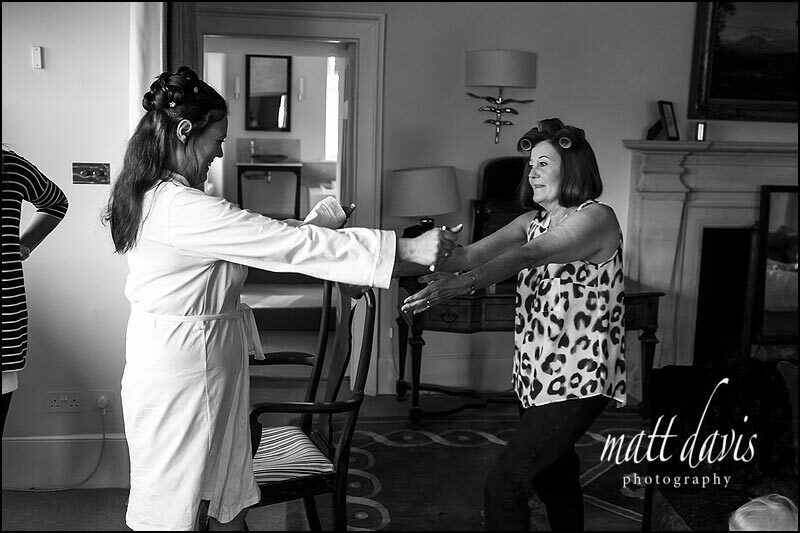 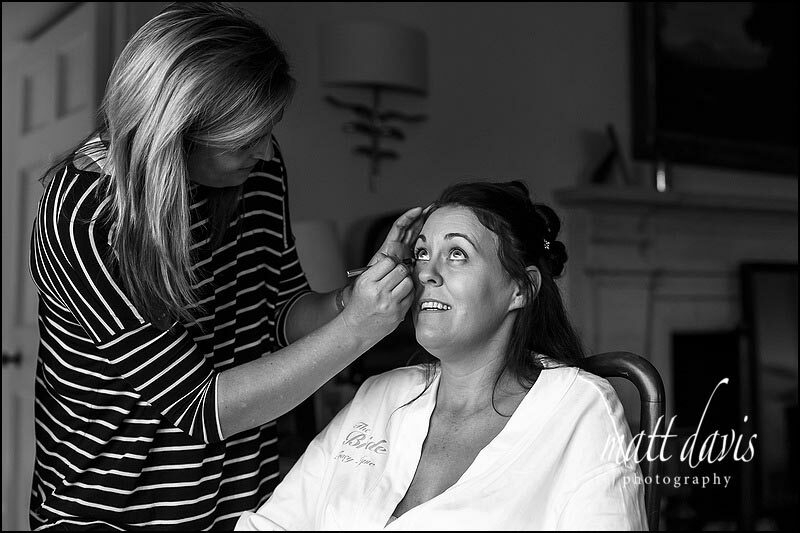 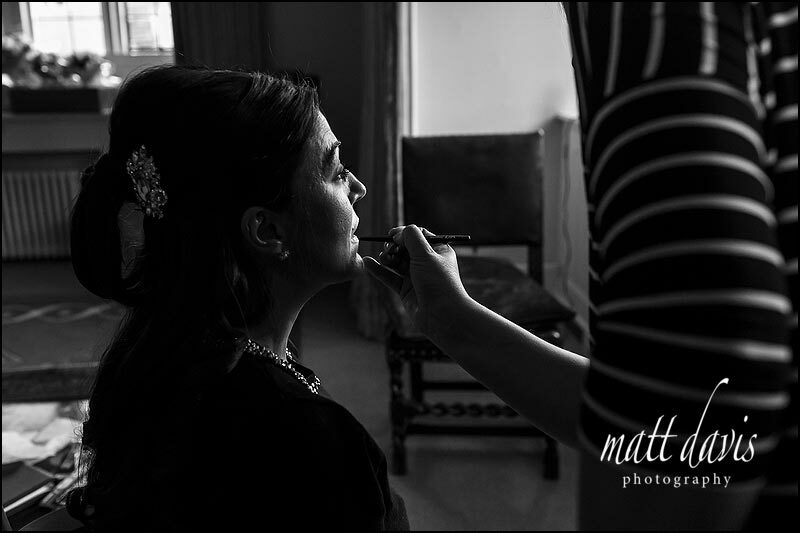 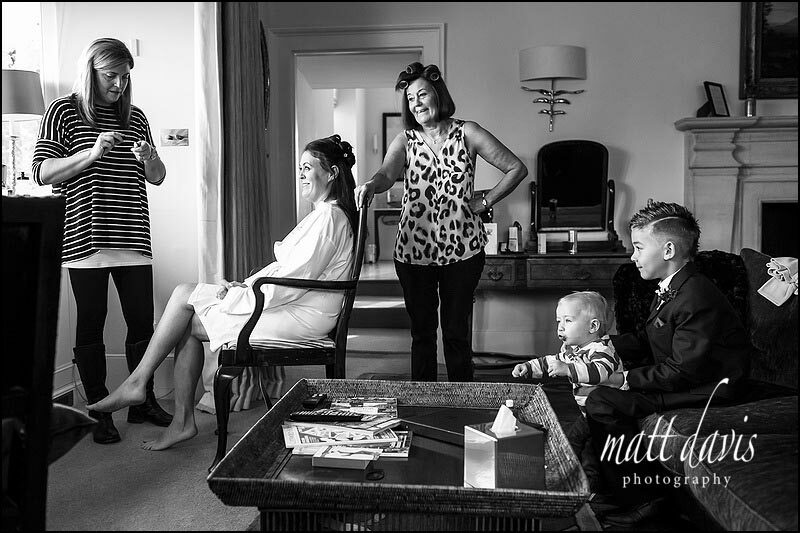 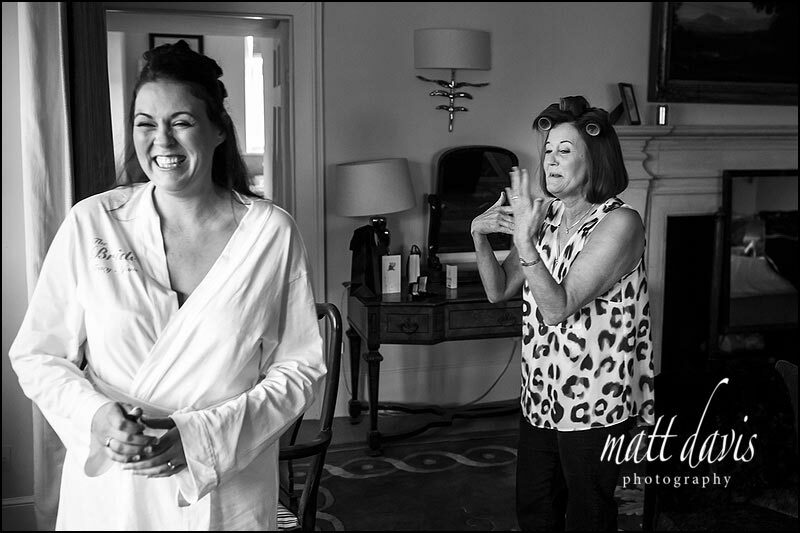 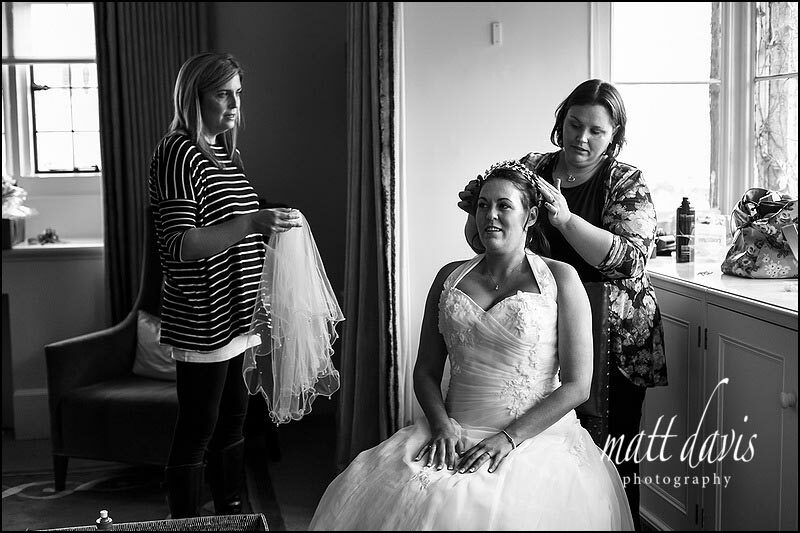 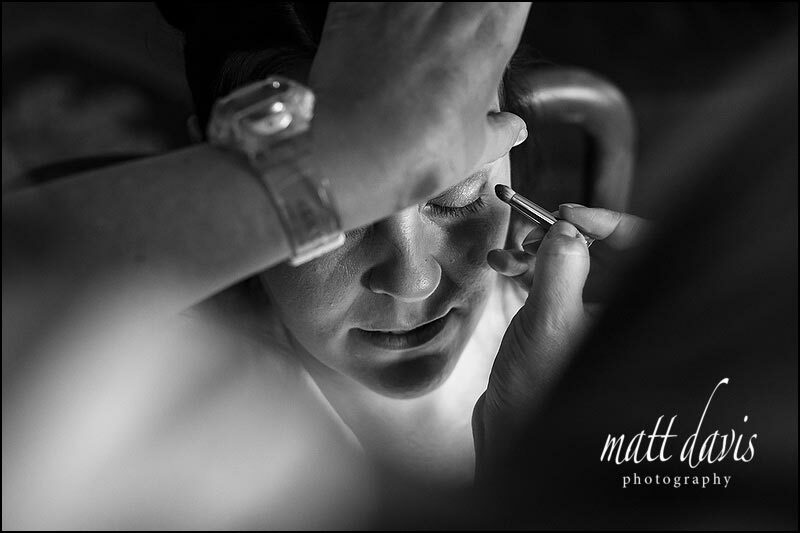 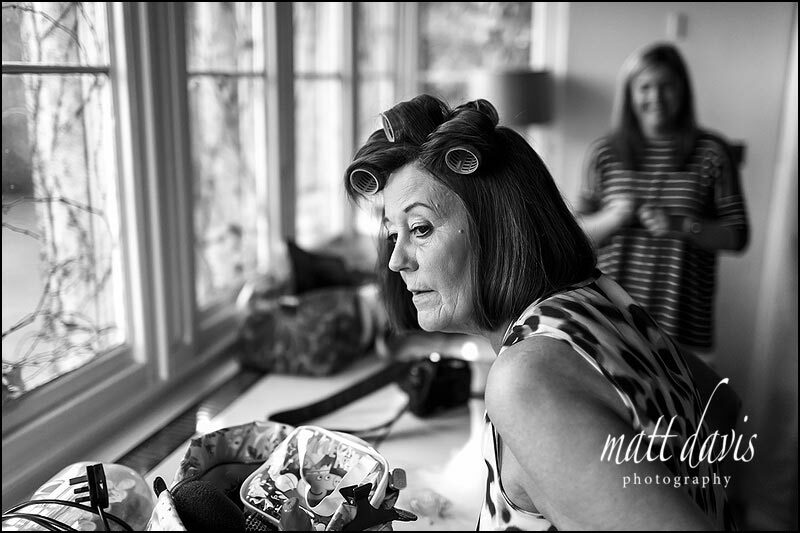 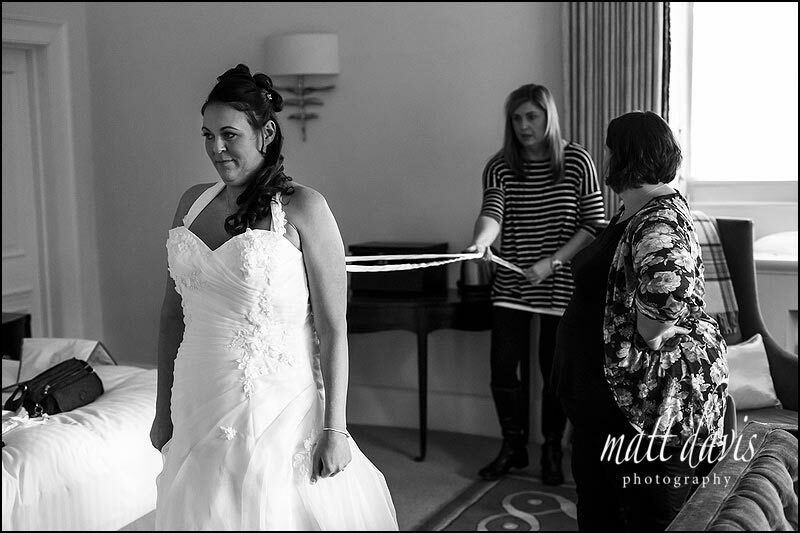 It’s all part of the morning commotion, and thankfully we had Clare Bryce (Pure Pampering) on hand who’s not only a master class in make-up, but has wipes to hand when needed and does a fine job of fastening wedding dresses when required too! 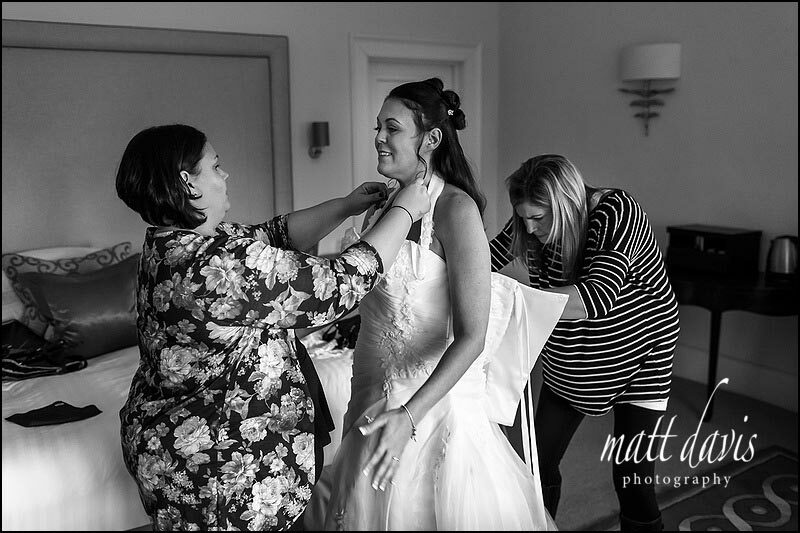 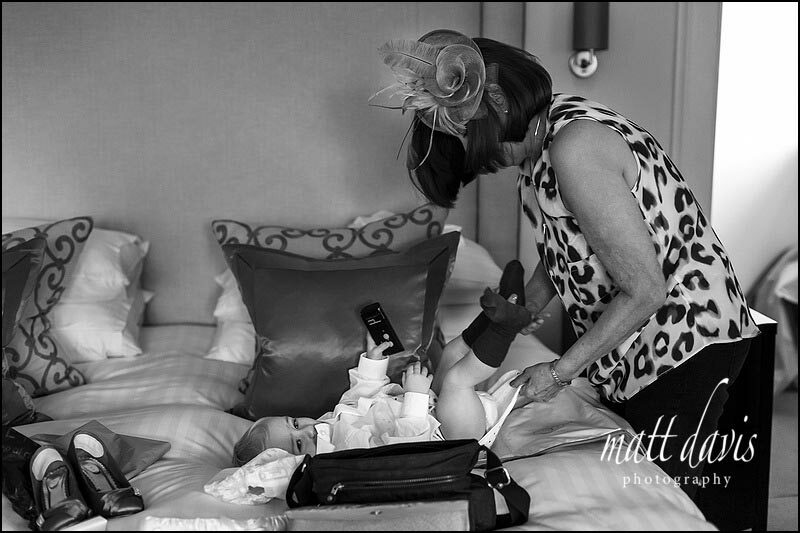 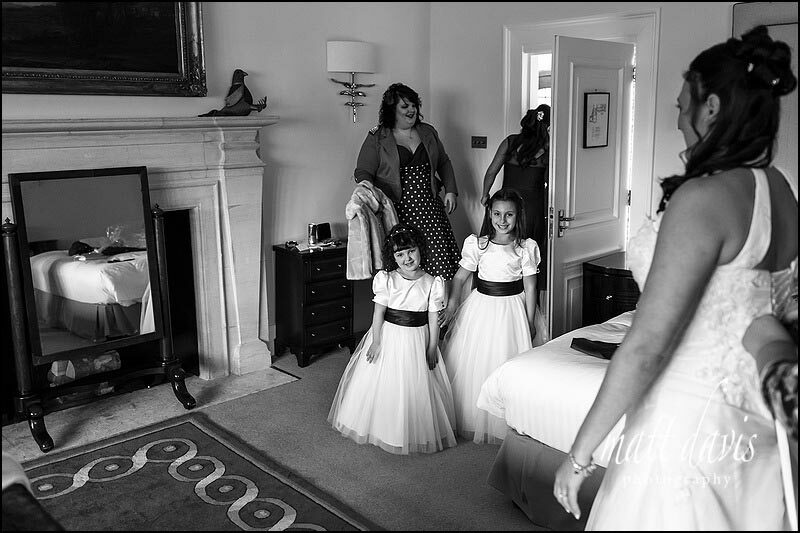 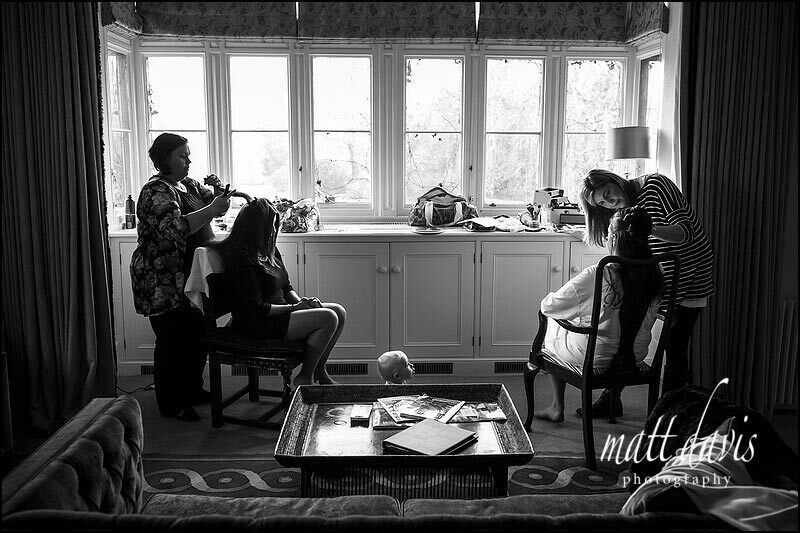 Once the formalities of getting everyone dressed were out the way, it was plain sailing. 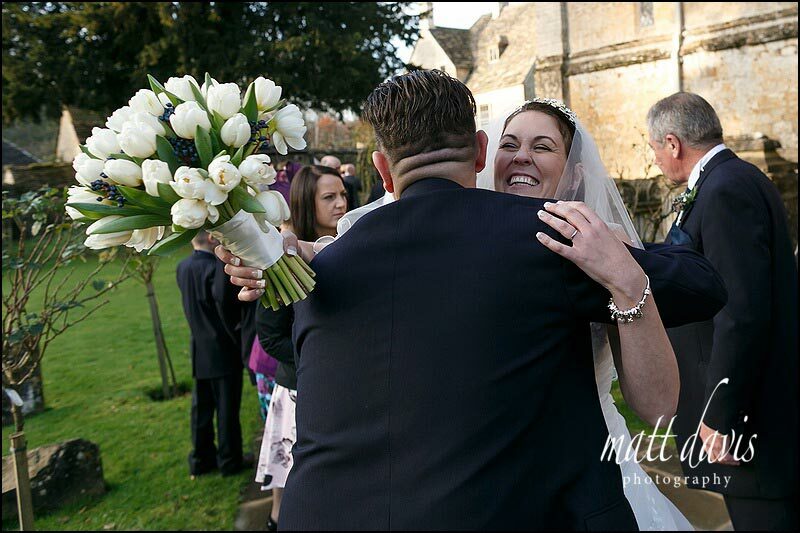 With the wedding held at Bibury Church, it was literally a few wet stepping stones away through the gate from Bibury Court to the ceremony itself. 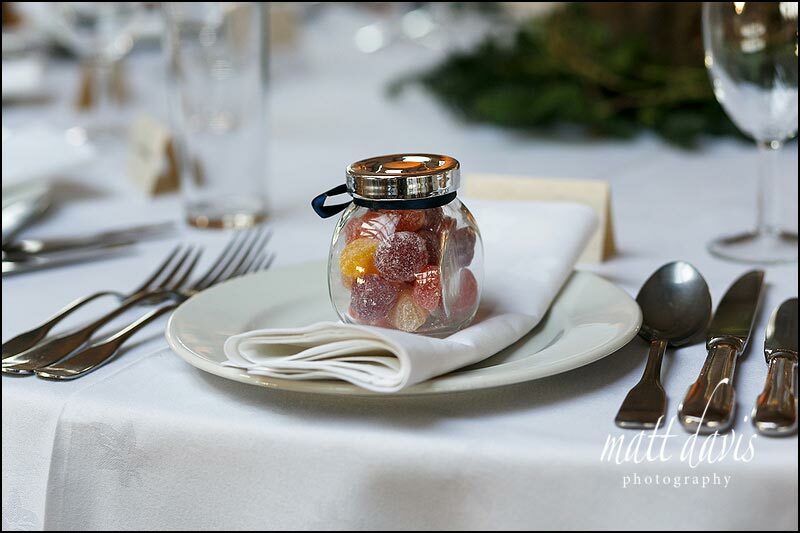 You couldn’t ask for a simpler set-up. 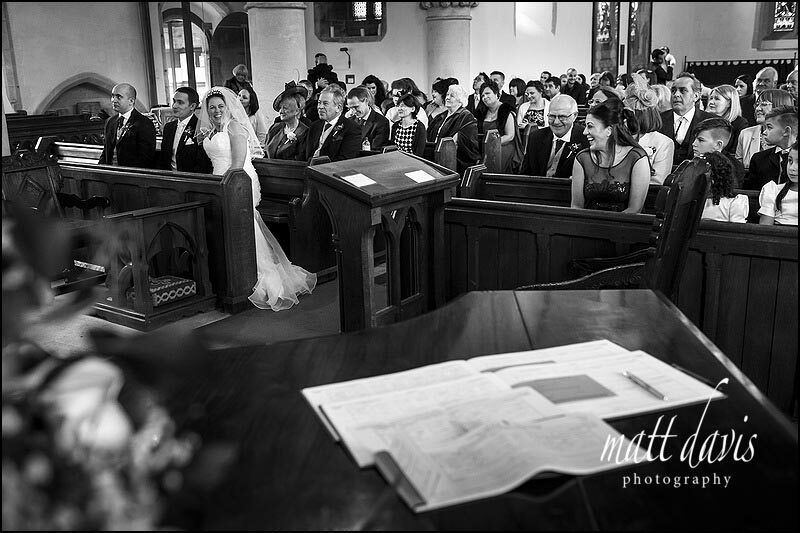 In the church David waited patiently along with around 80 guests and 20 more children. 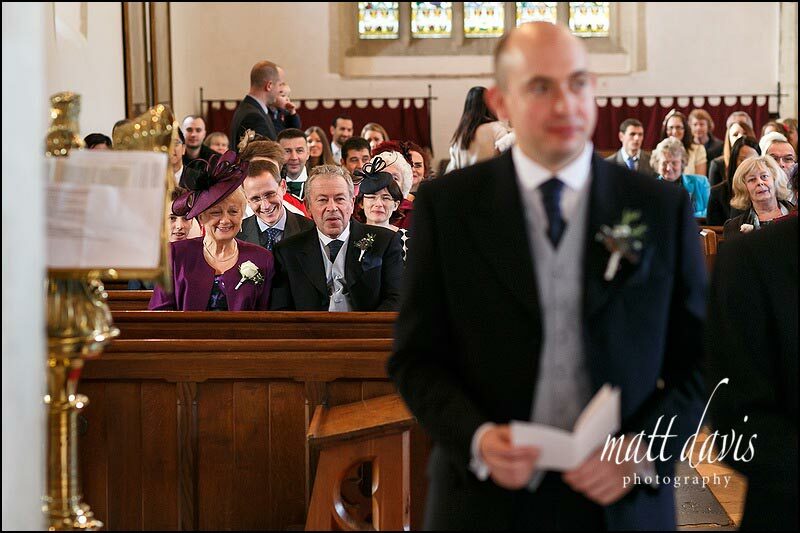 Clearly this wasn’t going to be the kind of wedding ceremony where you can hear a pin drop – thank goodness! 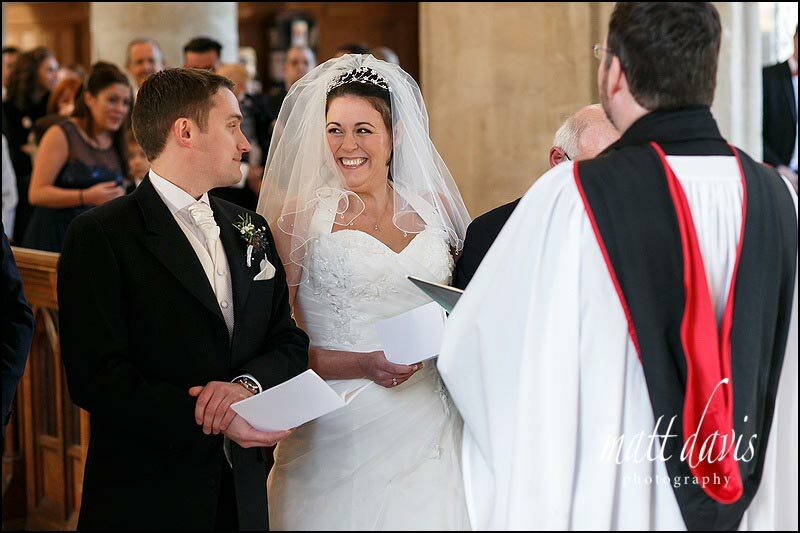 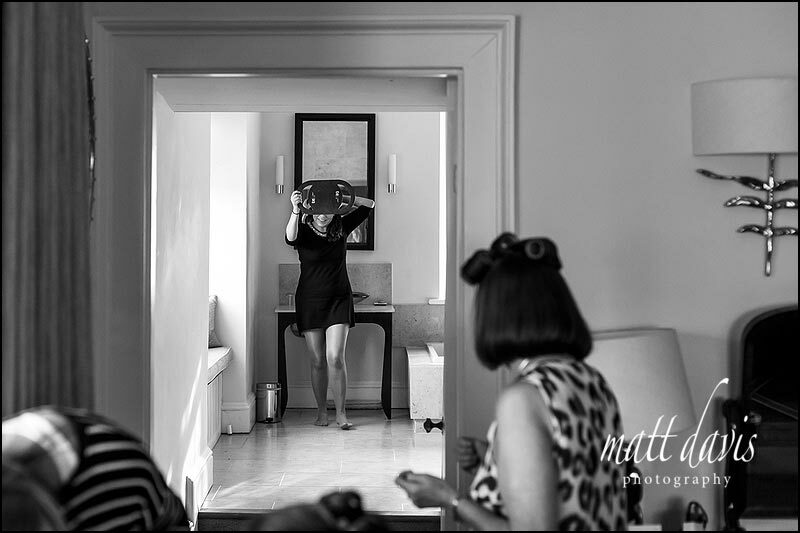 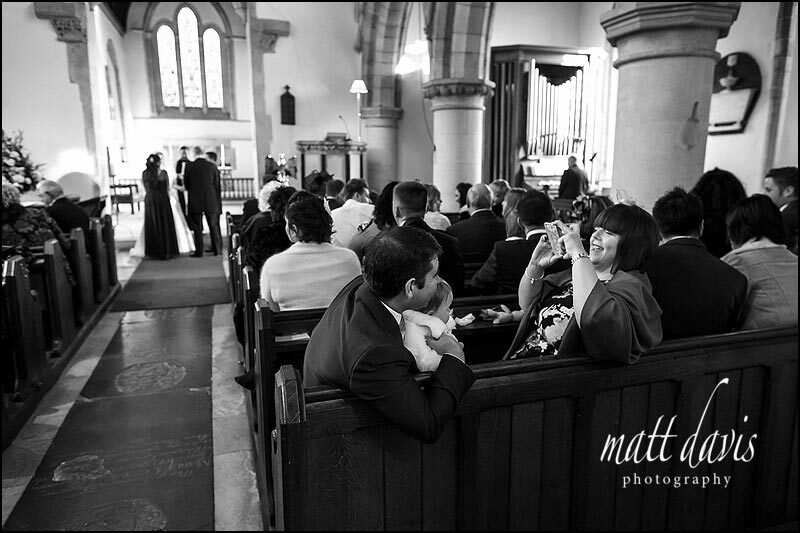 I like it when there are a few more distractions, it makes couples feel a little less up tight, and often puts the vicar in a more relaxed frame of mind, allowing for greater flexibility when it comes to photography. 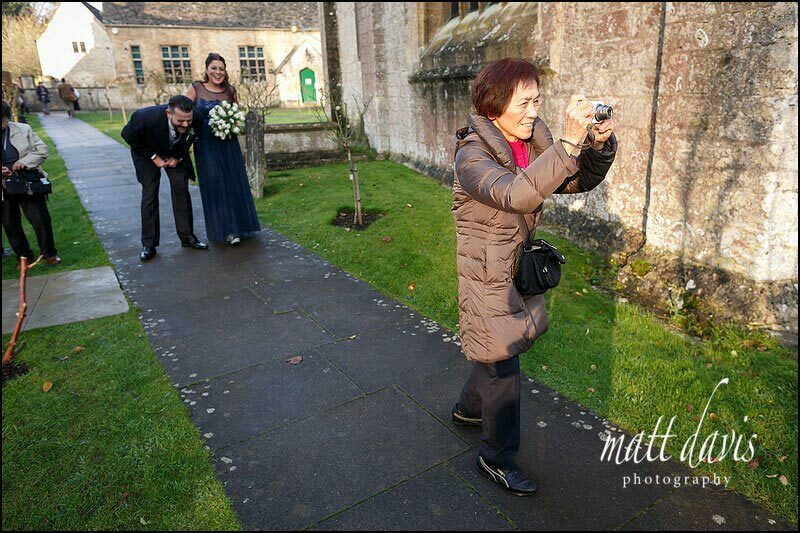 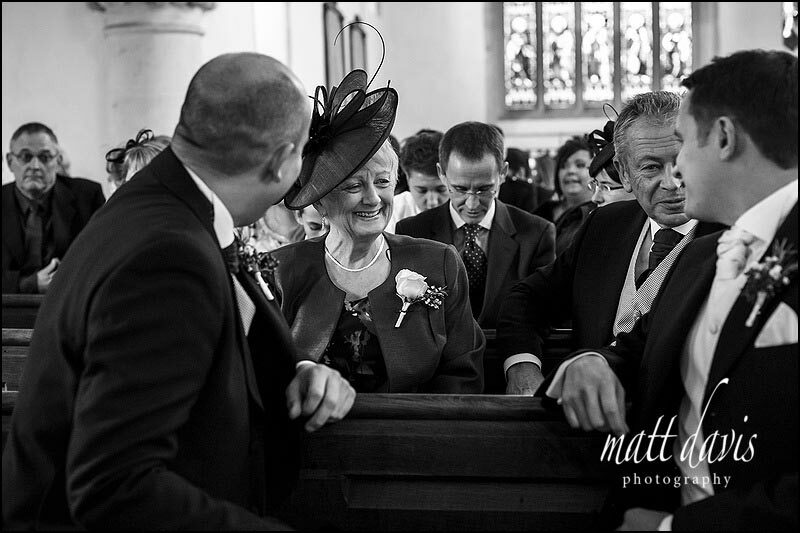 This was indeed the case, and Andrew, the friendly vicar from Lechlade parish, was considerate to allow photography from the front of the church on this occasion (a first in this particular church for me). 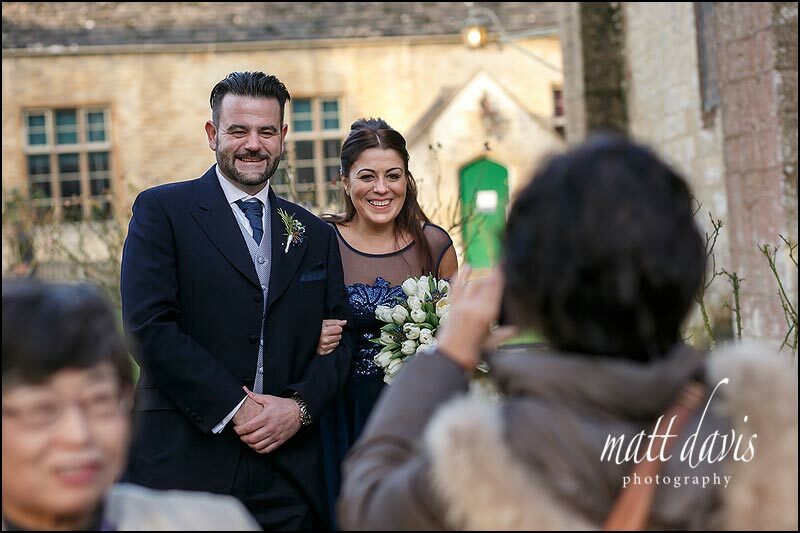 Giving a little more variety to the photos always makes me feel I’m doing the best job possible, and with some great weather and an easy going couple I like it when all the elements of the day fall into plan. 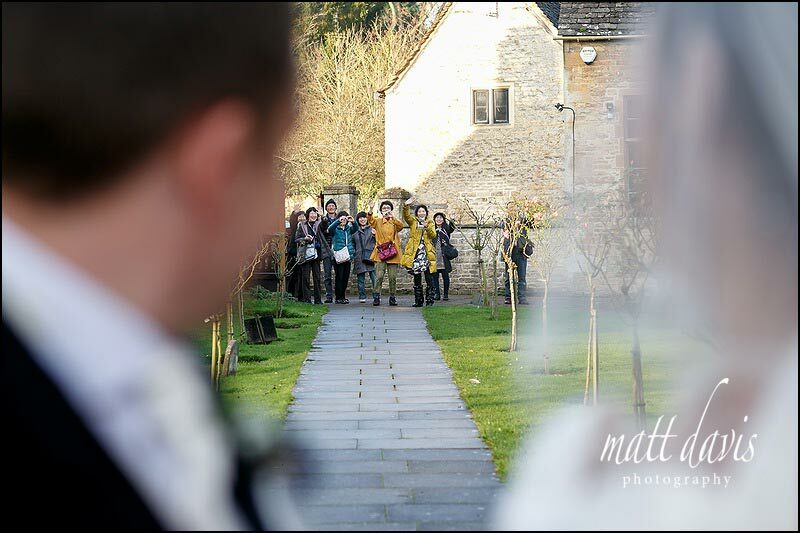 Following the ceremony, a quick few group shots were taken outside (in amongst a stamped of Japanese tourists looking to get their fill too) before heading off to Cripps Barn for drinks and the final day’s festivities. 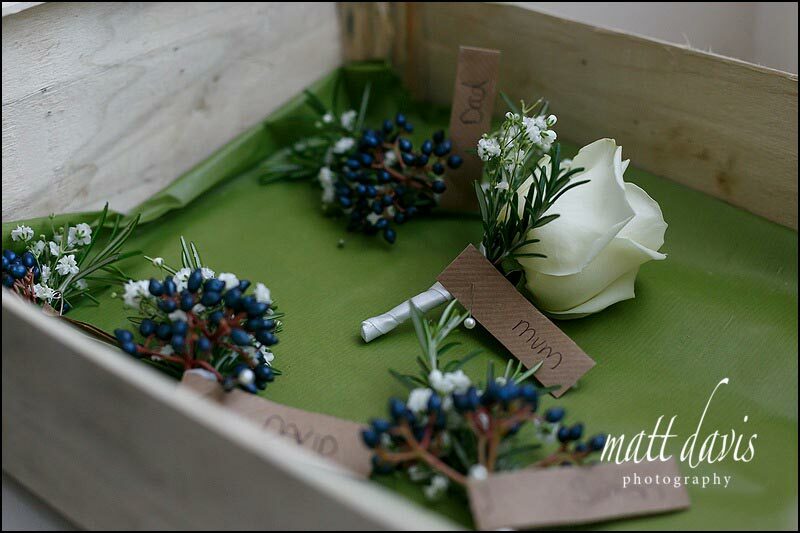 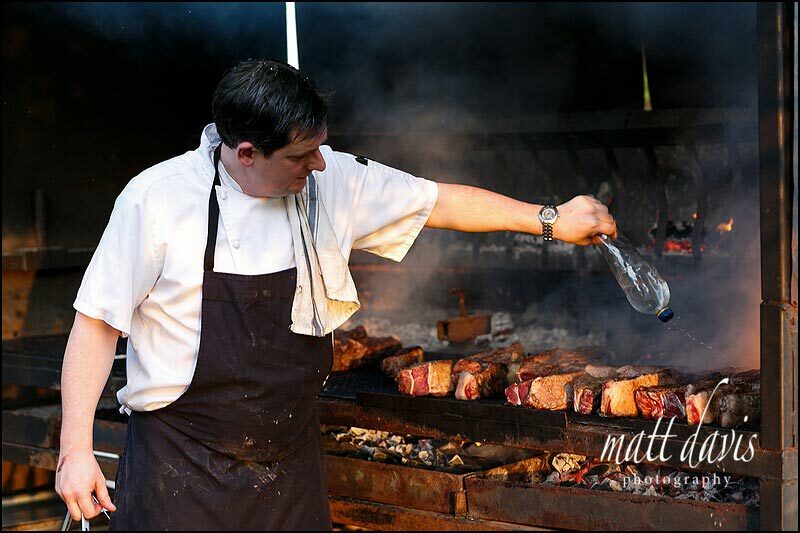 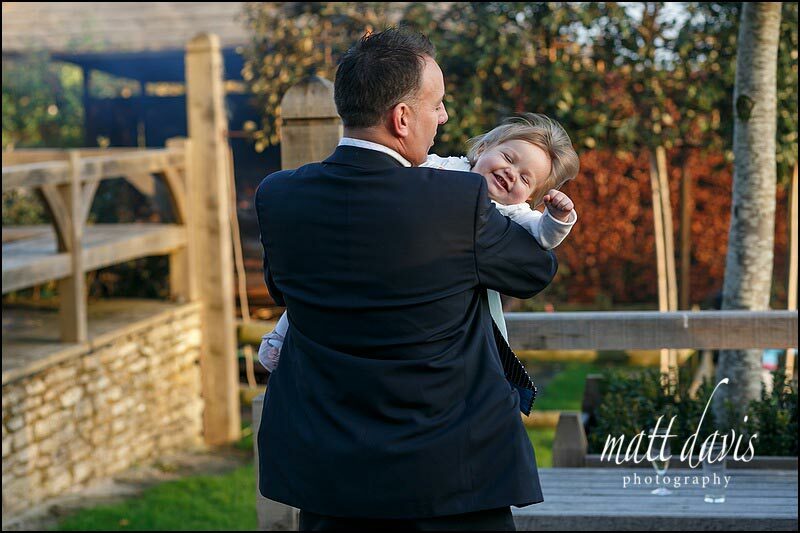 So, without further ado here are a selection of photos from David & Tracy’s Cripps Barn wedding. 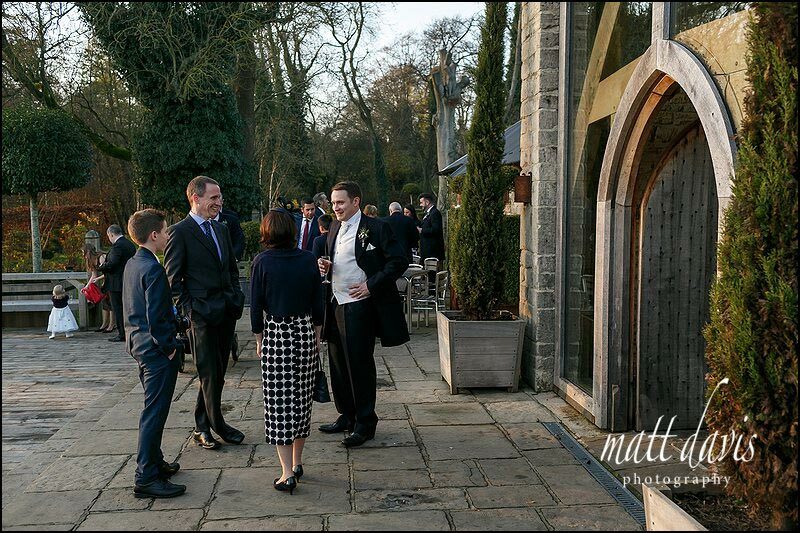 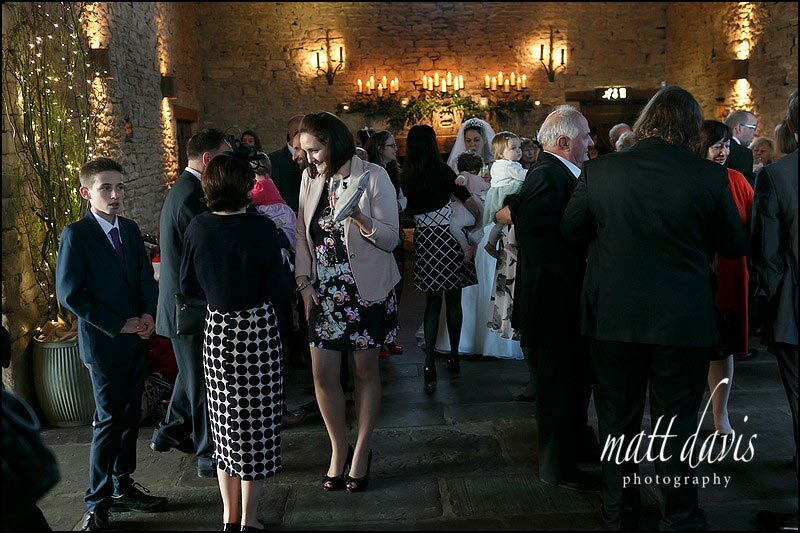 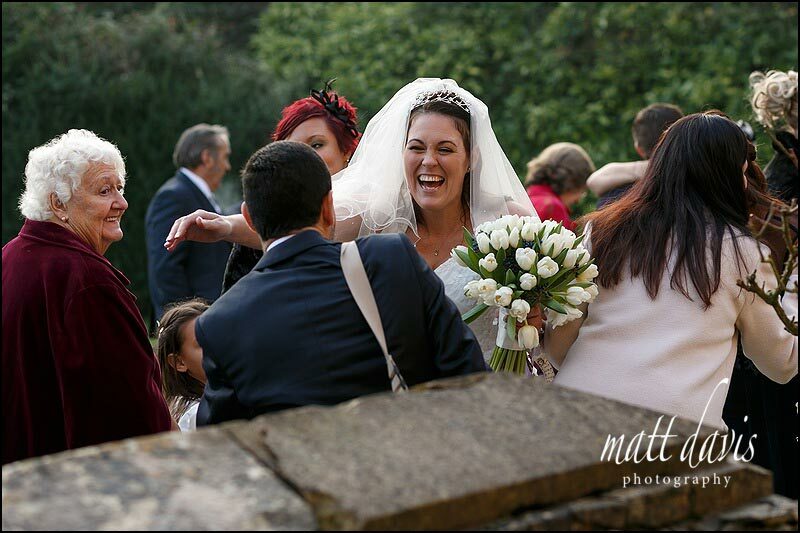 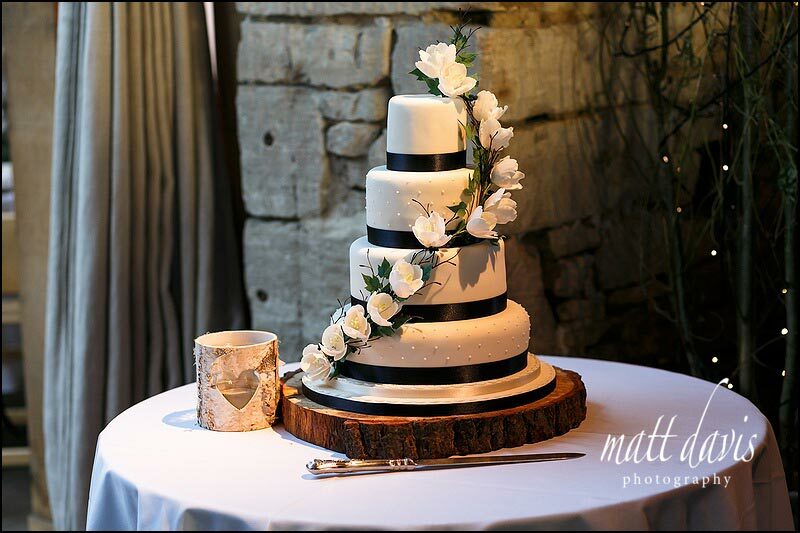 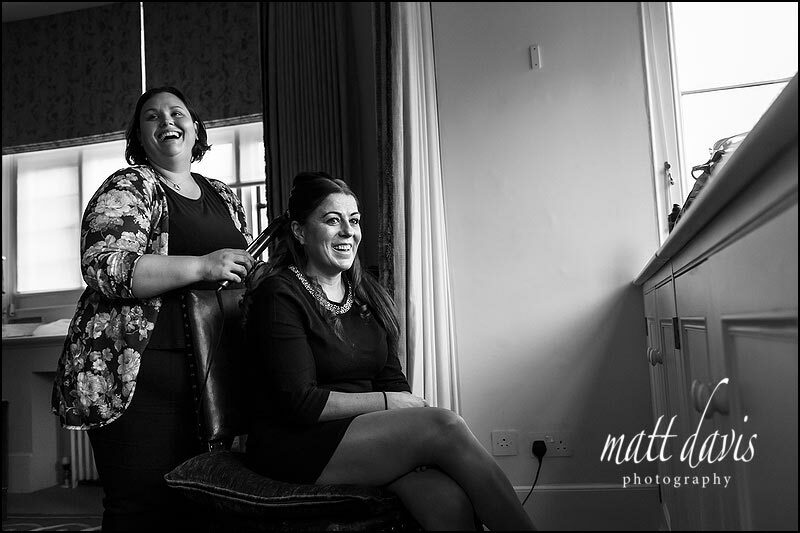 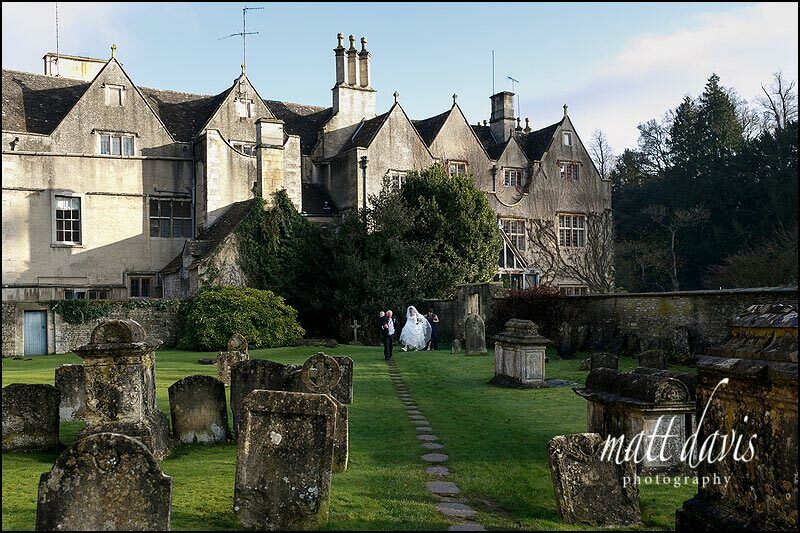 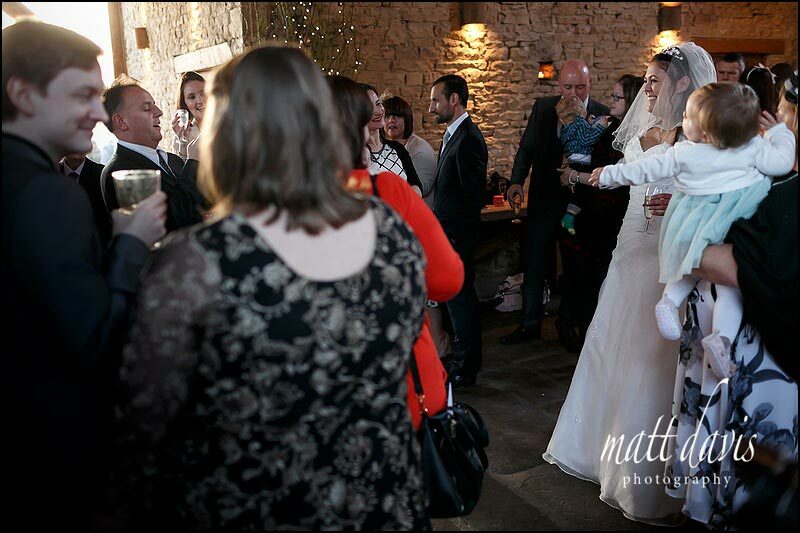 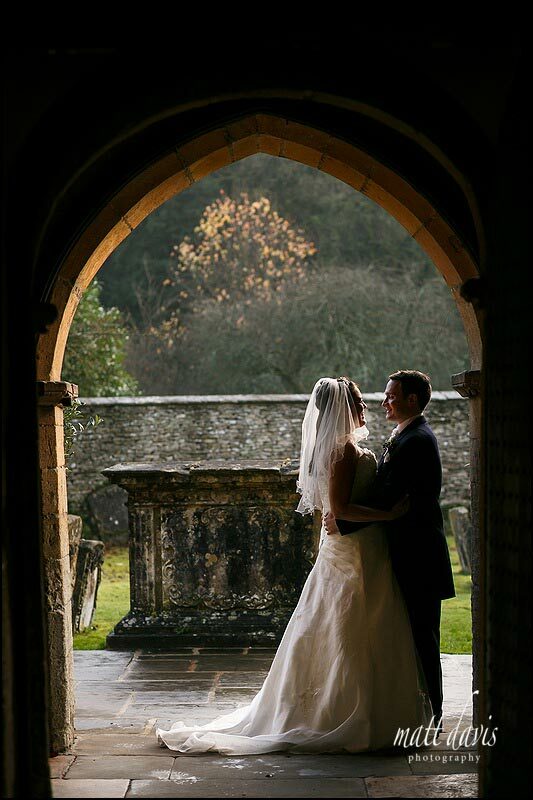 Bibury Court is a great venue for bridal preps and also hosts civil weddings and wedding receptions. 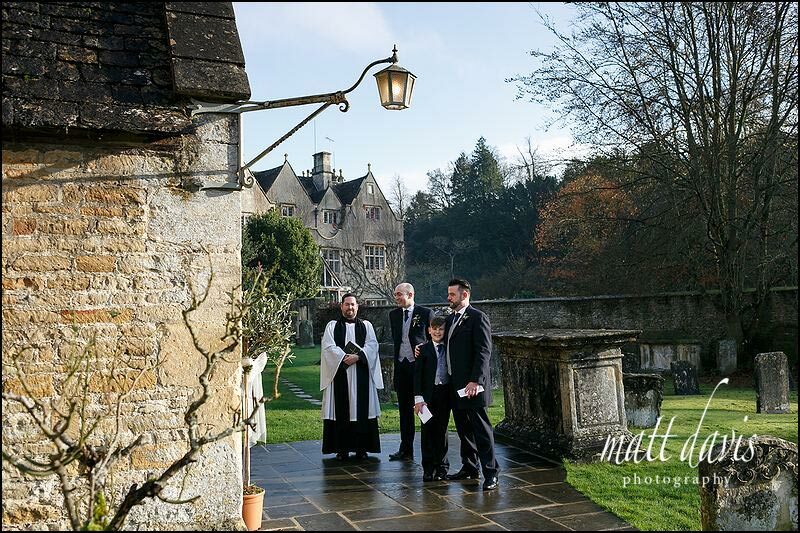 Just another wedding day duty. 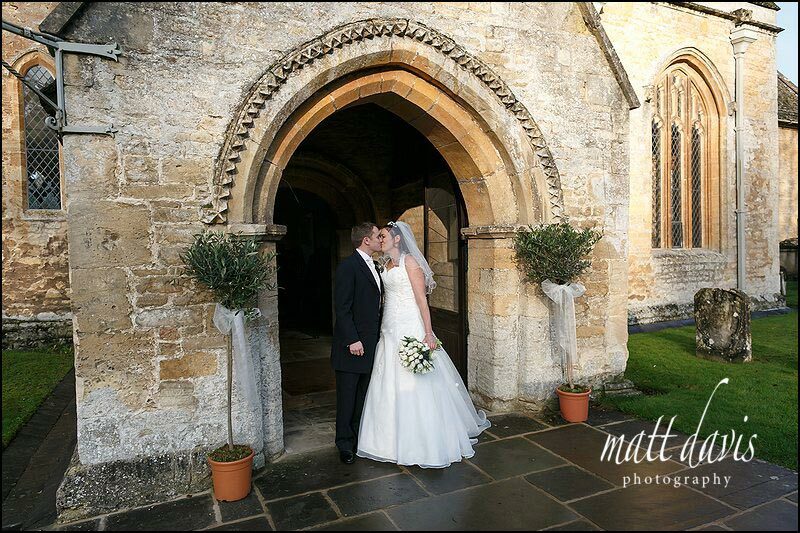 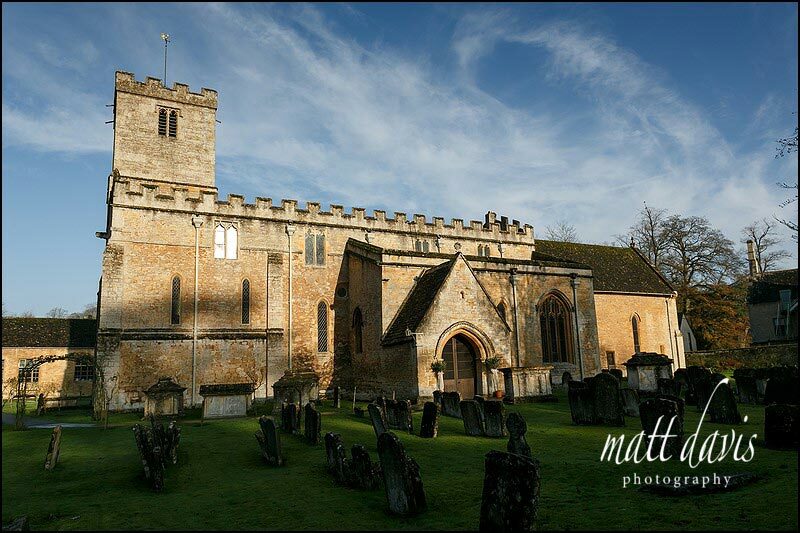 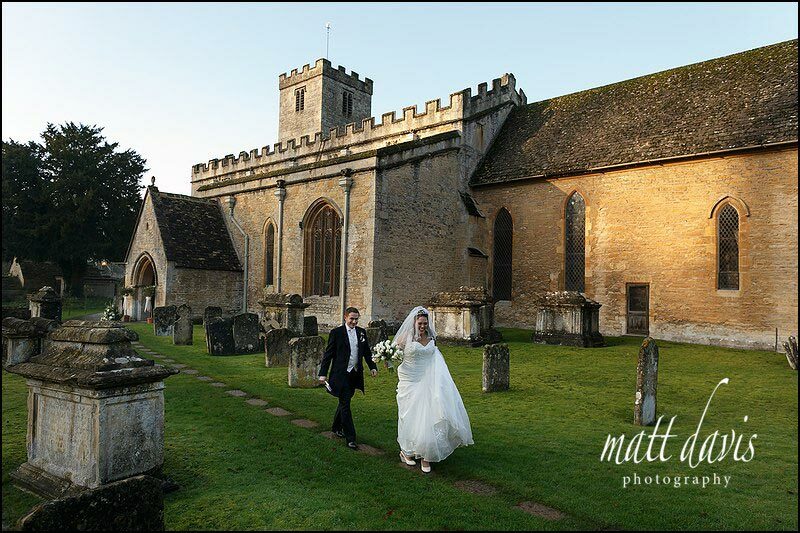 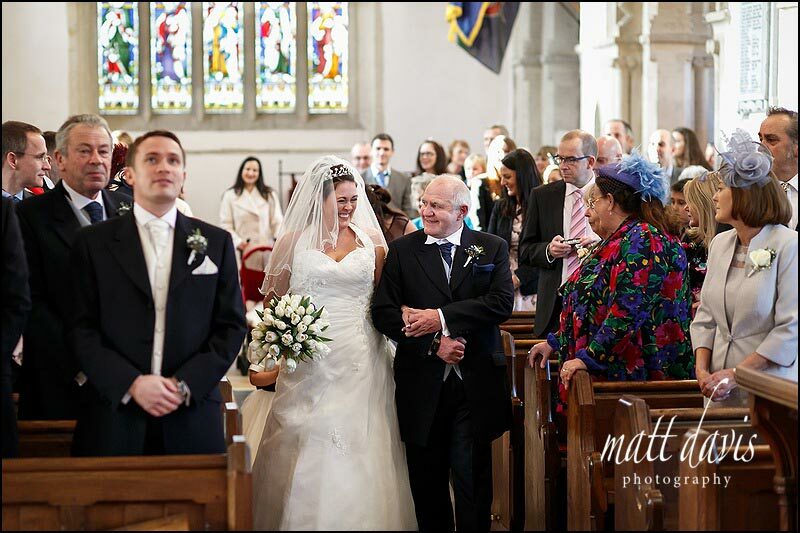 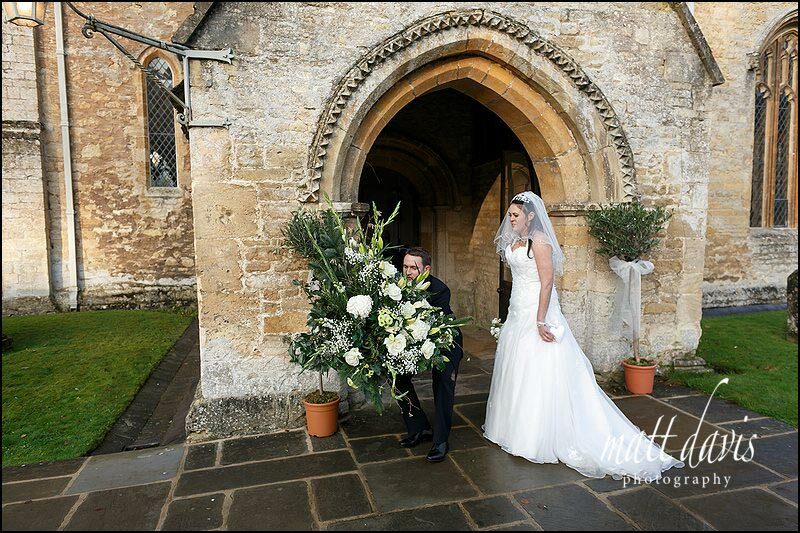 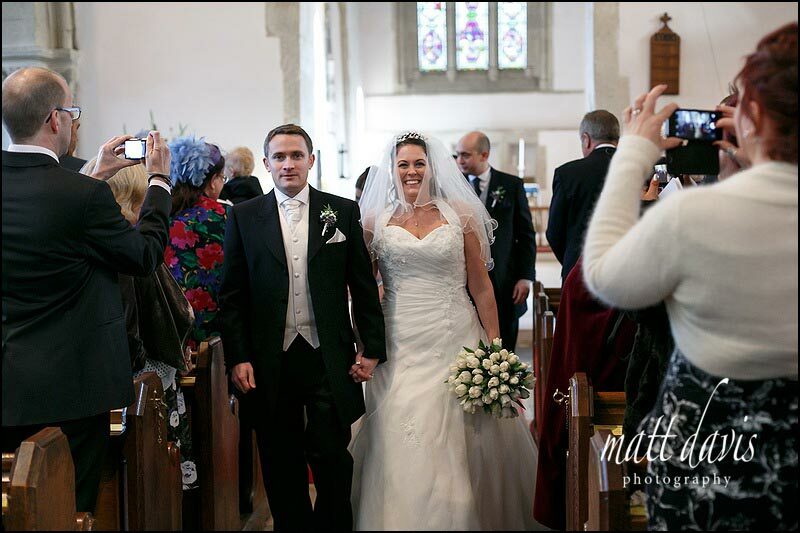 With the wedding make over complete, it was off to Bibury Church. 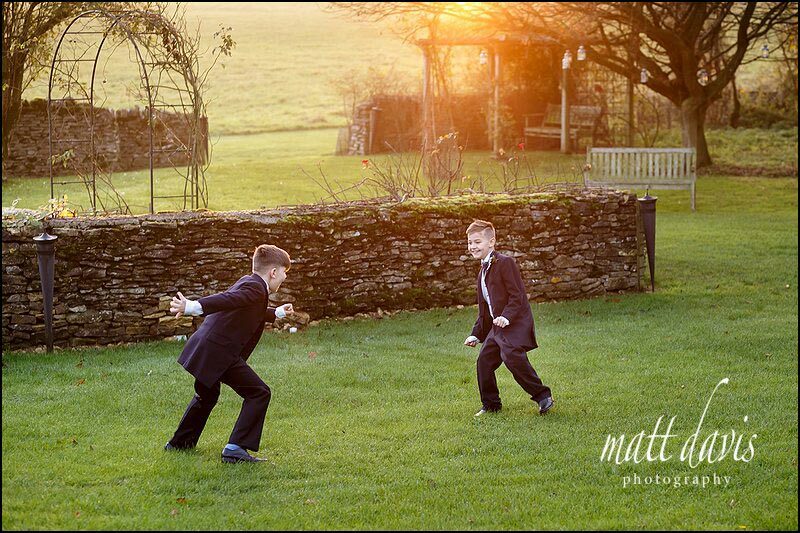 Say on the stones, keep off the grass! 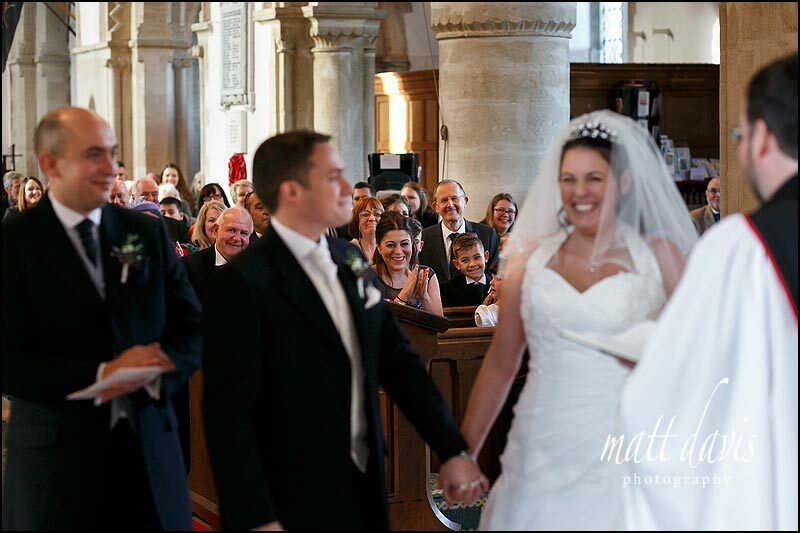 You’ve just gotta get to the church then worry not about your wedding dress afterwards. 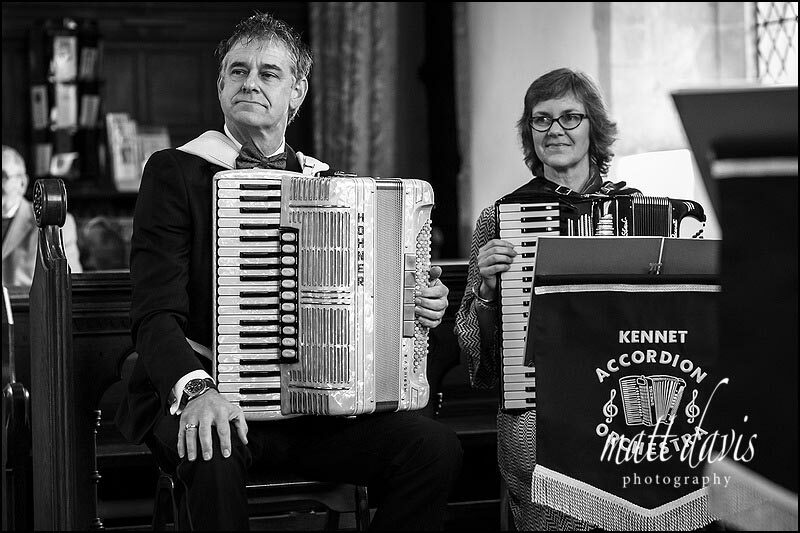 During the signing of the register David & Tracy had Kennet Accordion Orchestra play. 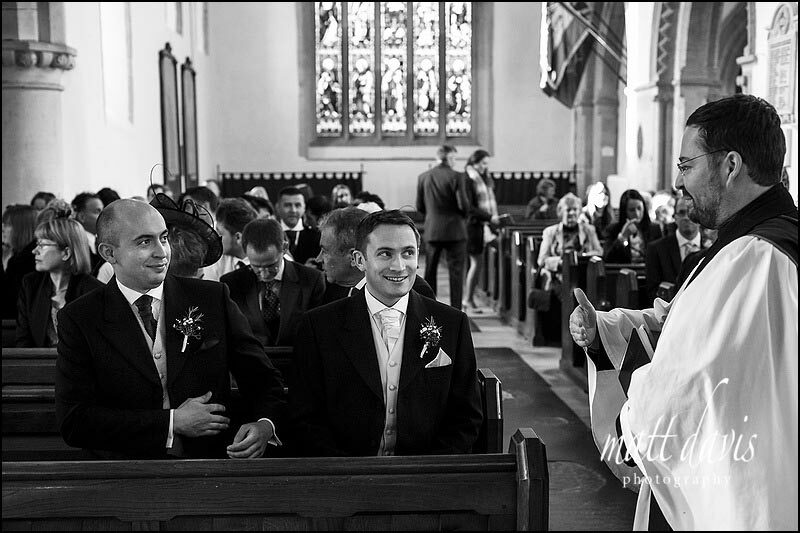 Despite having ushers, you always end up doing the dirty work yourself! 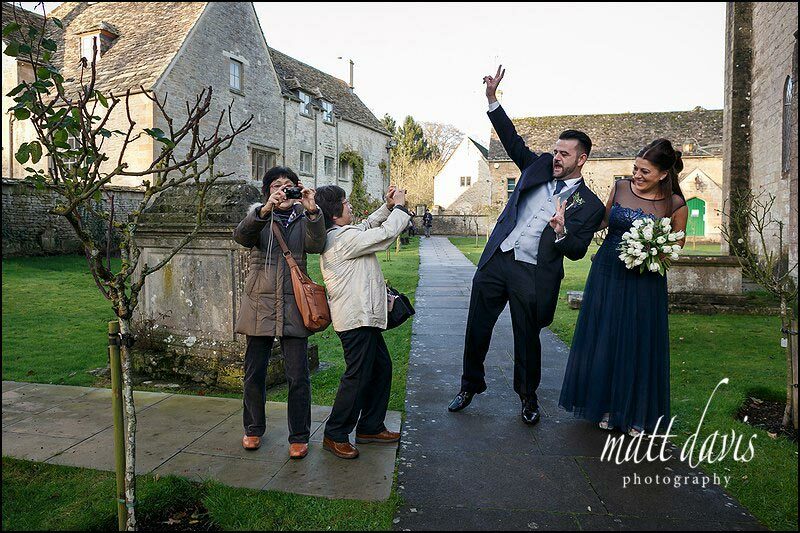 As wedding guests left for Cripps Barn, we nipped over to Bibury Court for a few couple photos, before David & Tracy departed to join the festivities. 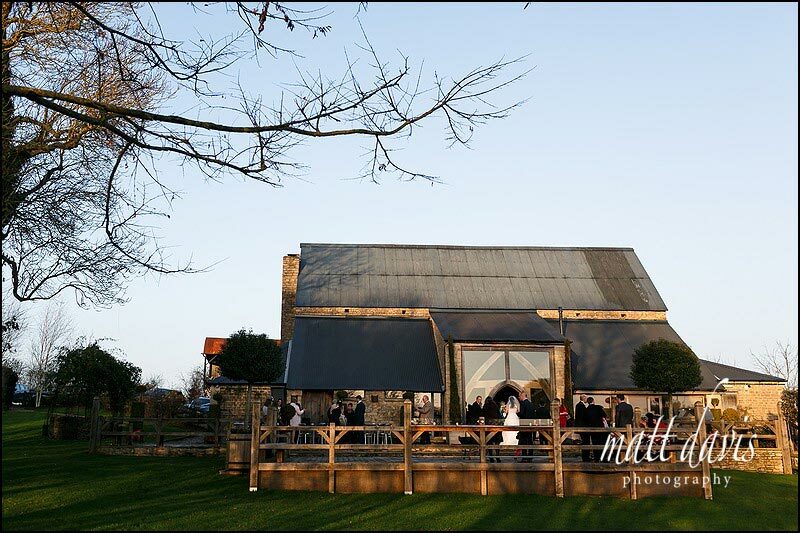 Cripps Barn, bathed in golden light. 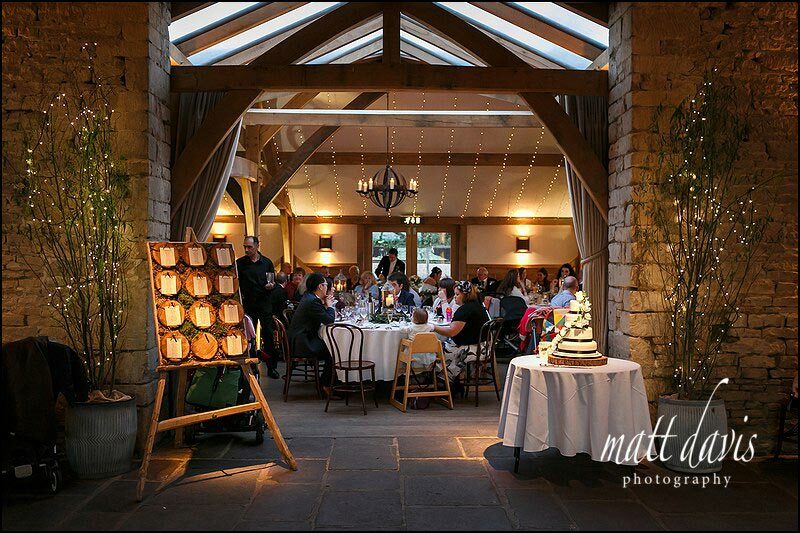 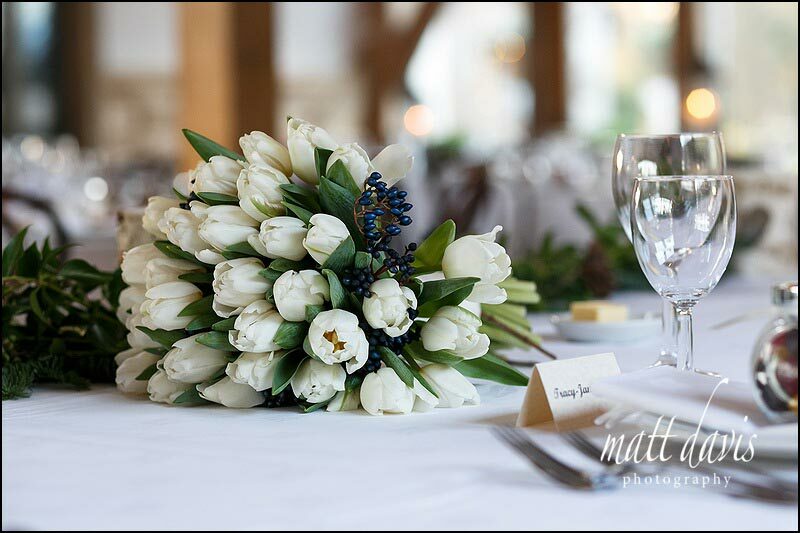 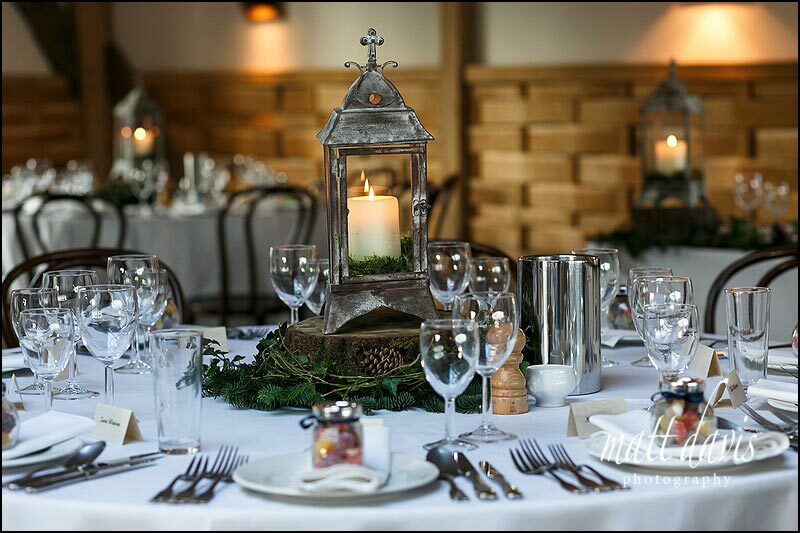 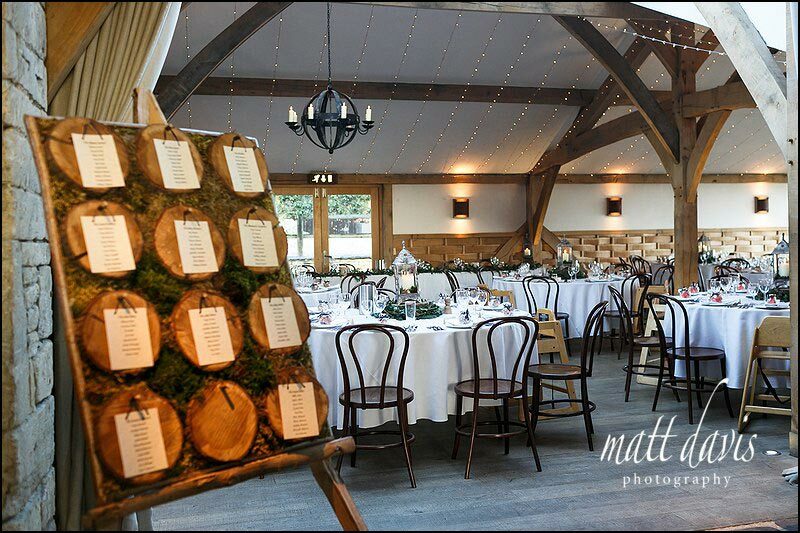 Rustic charm is what Cripps Barn is all about. 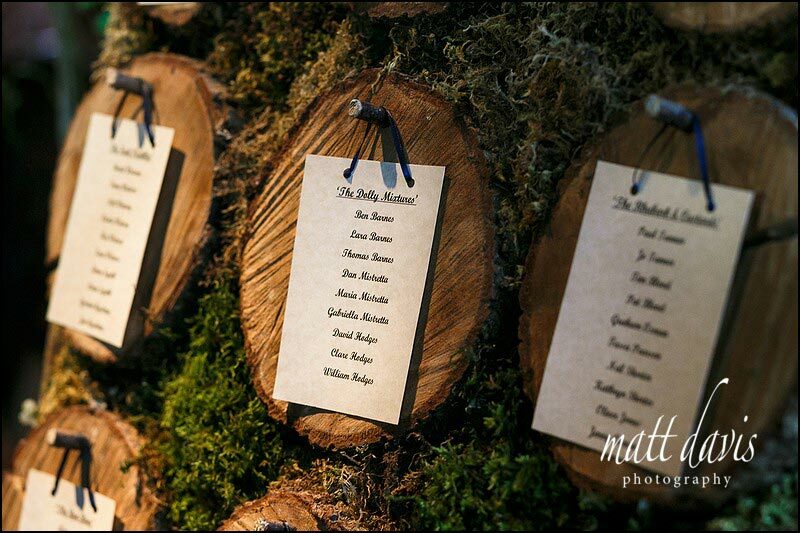 Table favours were the same as each table name. 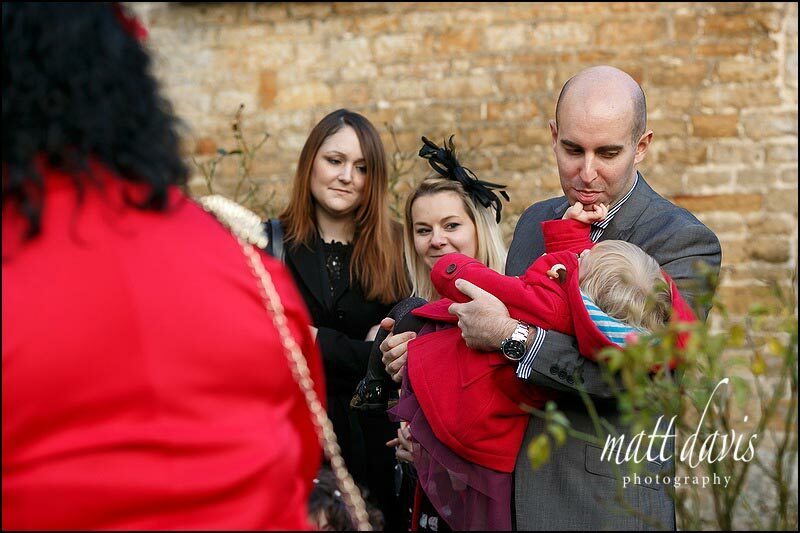 There were A LOT of kids at this wedding. 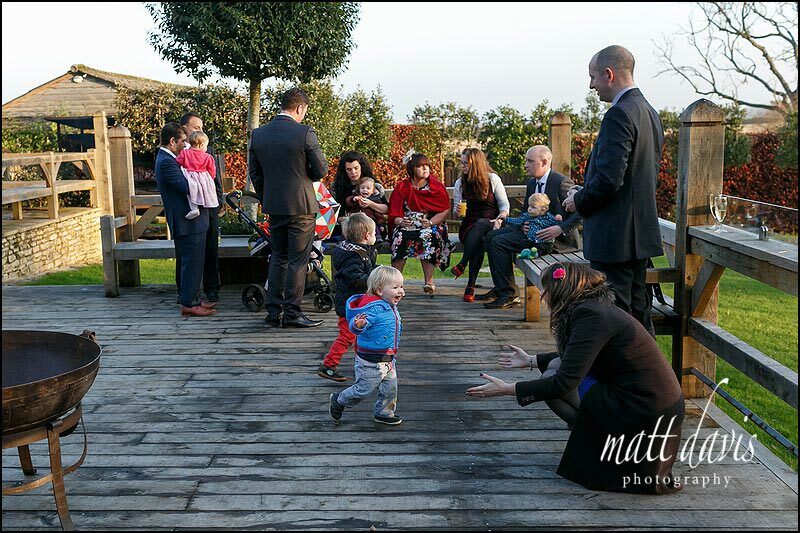 Thankfully some space for them to run off steam too. 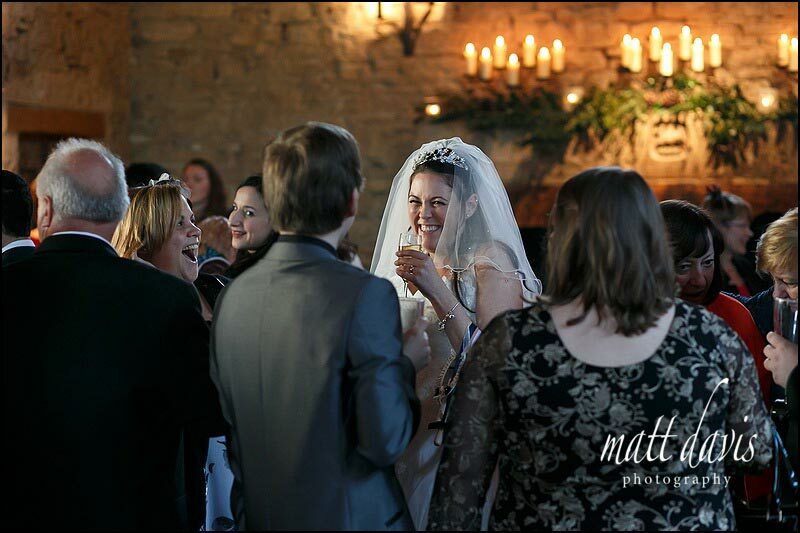 I hope you’ve enjoyed looking at the photos. 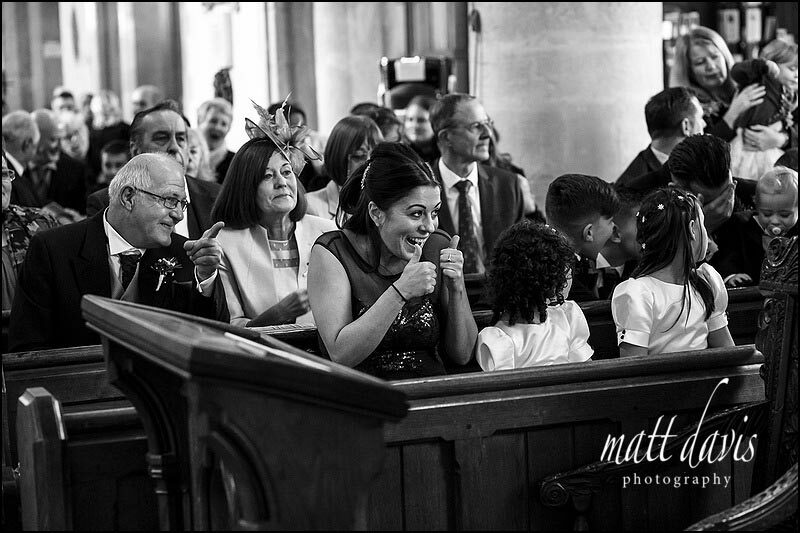 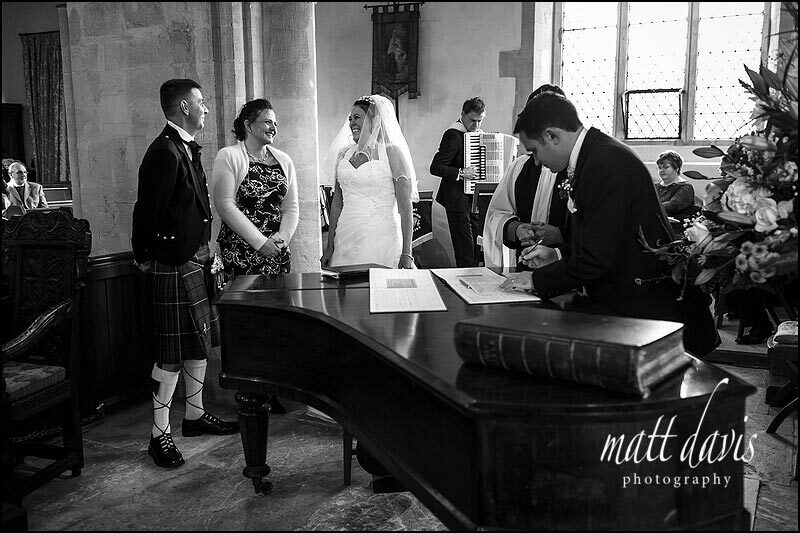 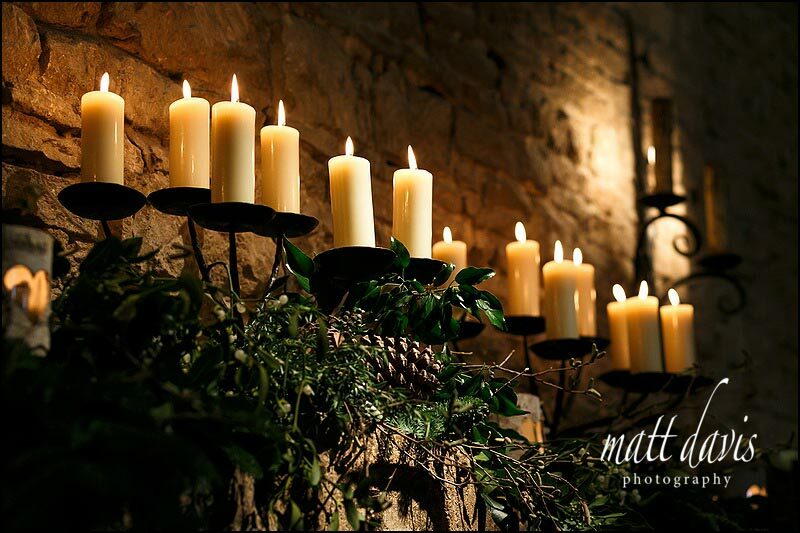 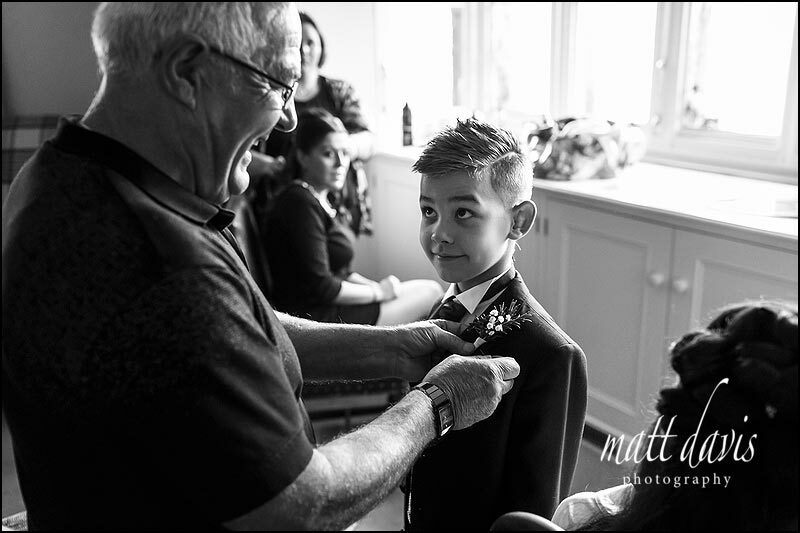 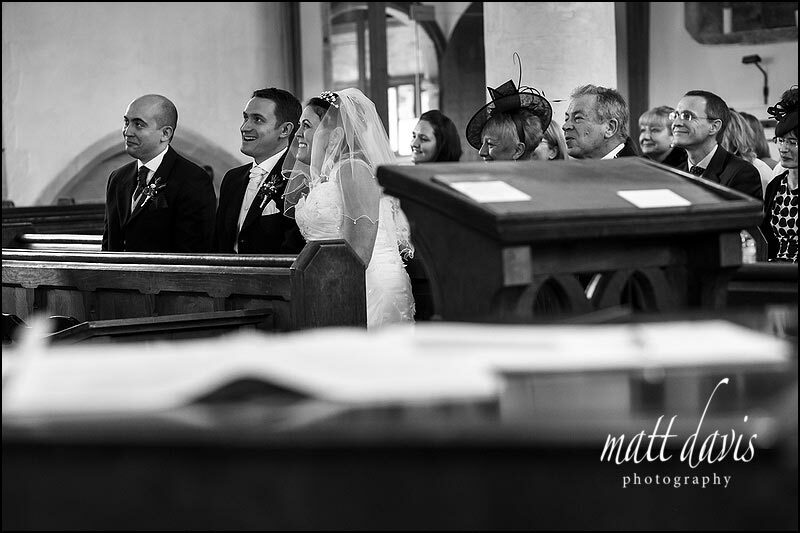 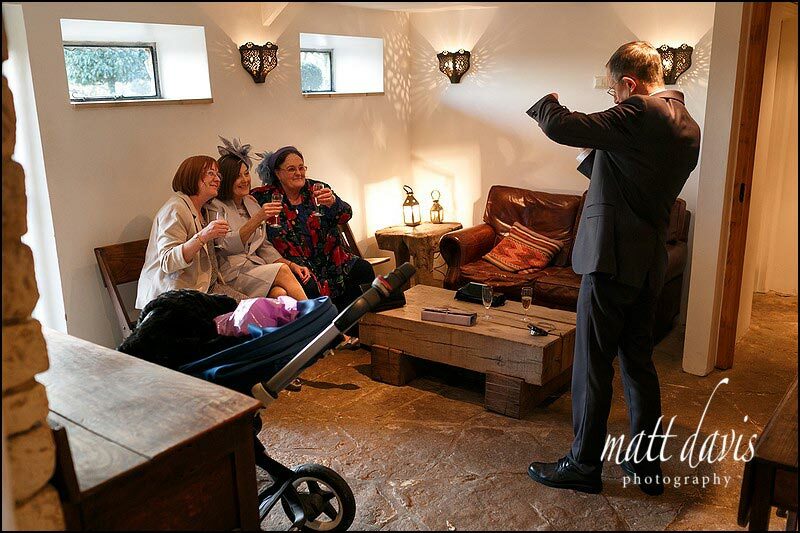 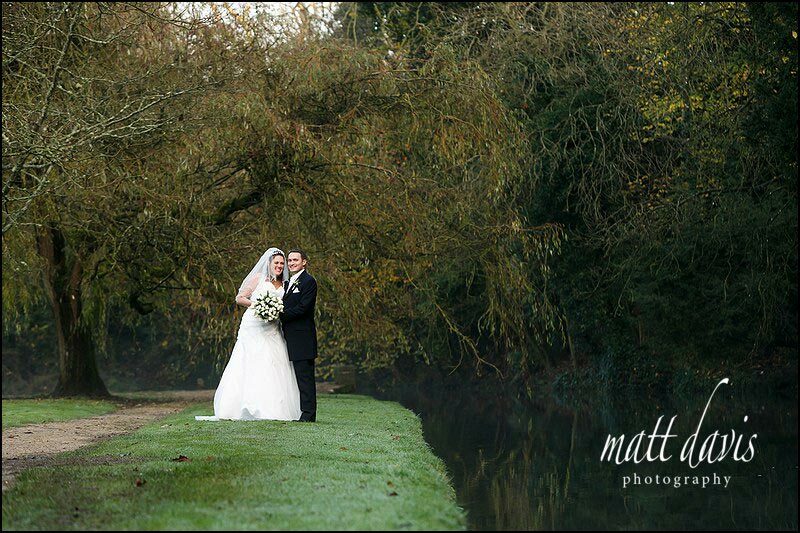 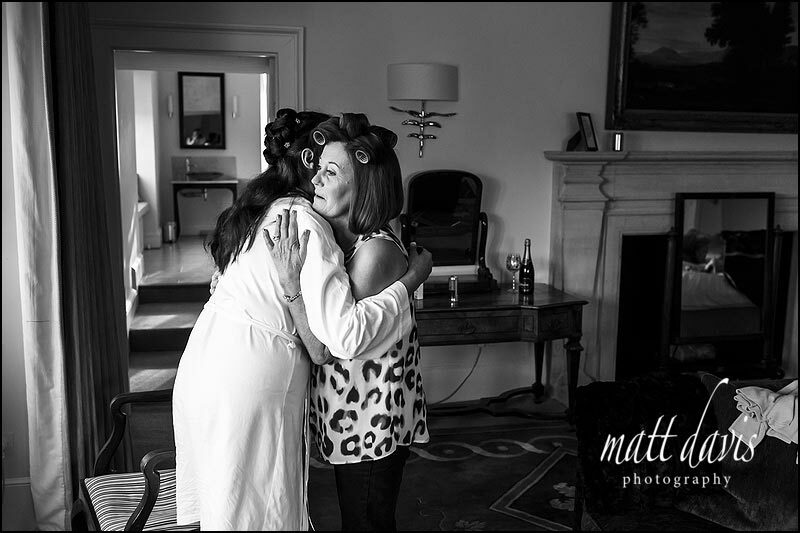 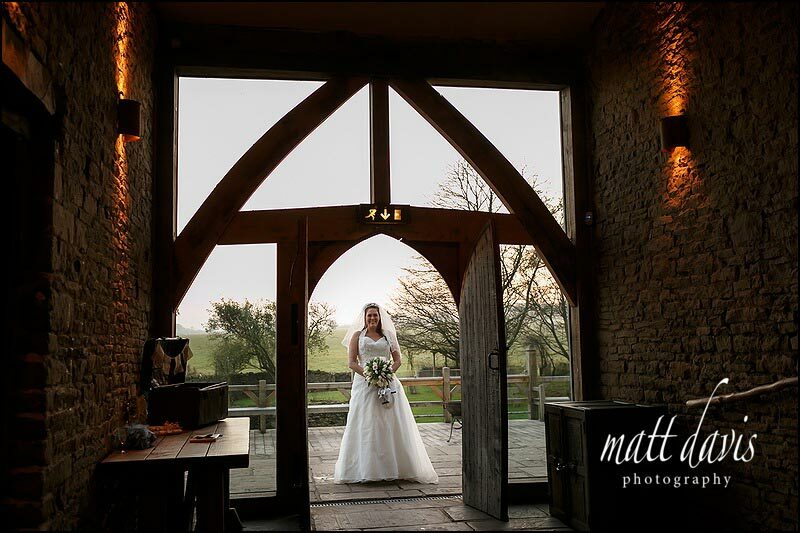 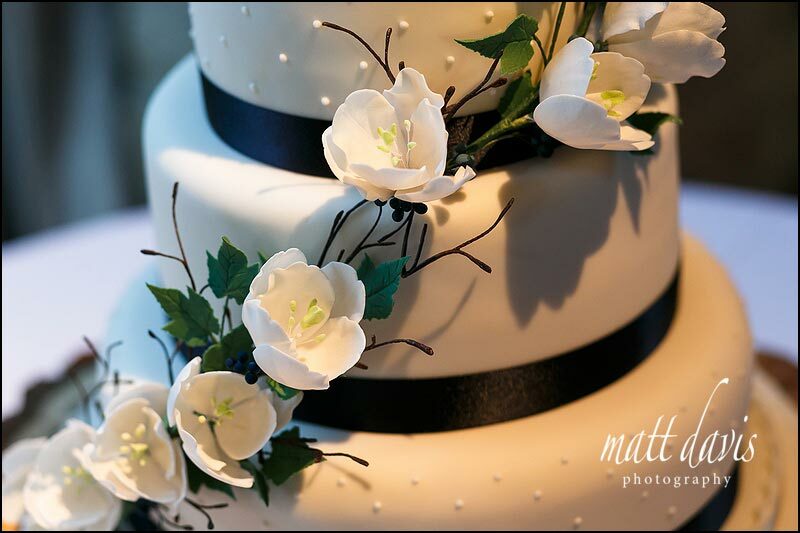 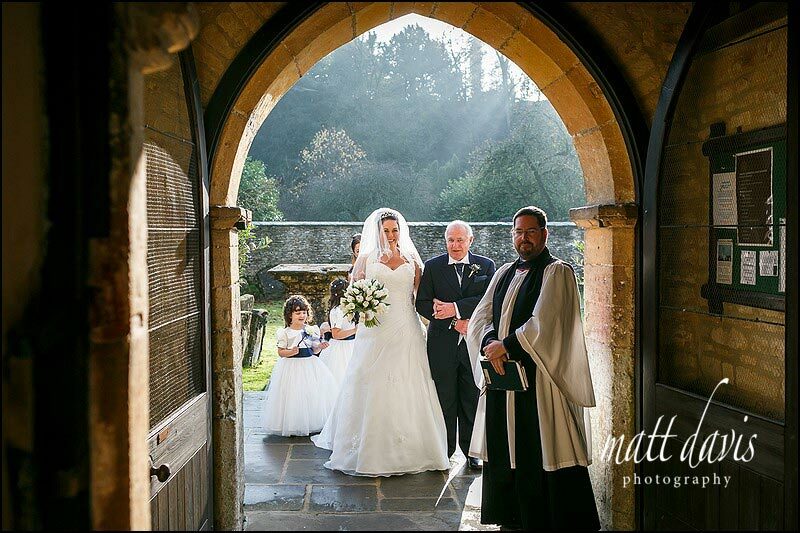 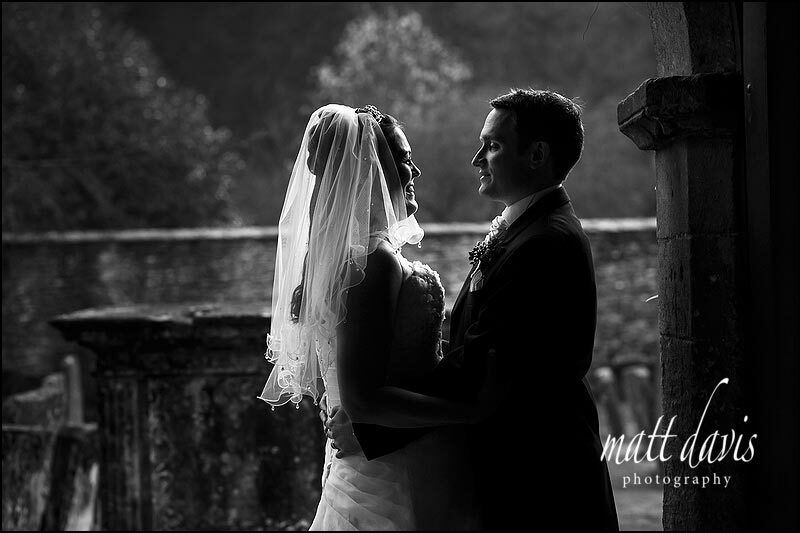 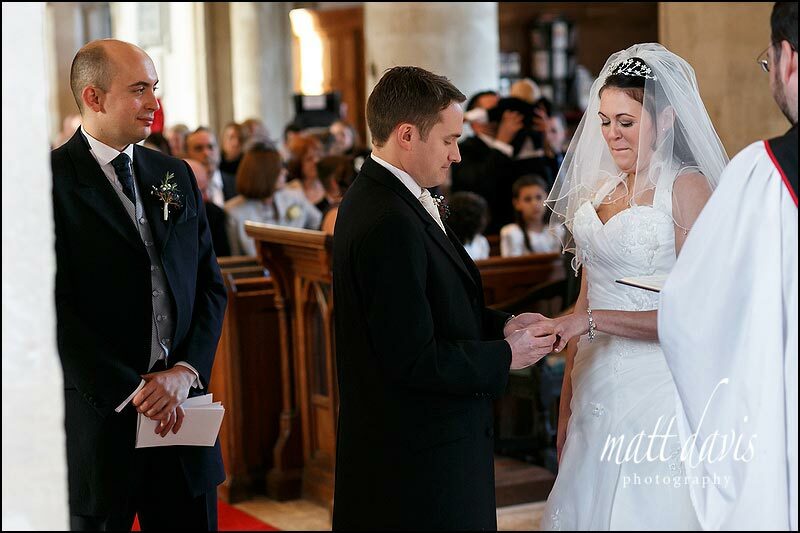 If you’ve been searching for Cripps Barn wedding photography and are having your wedding here please contact Matt Davis Photography for a chat.